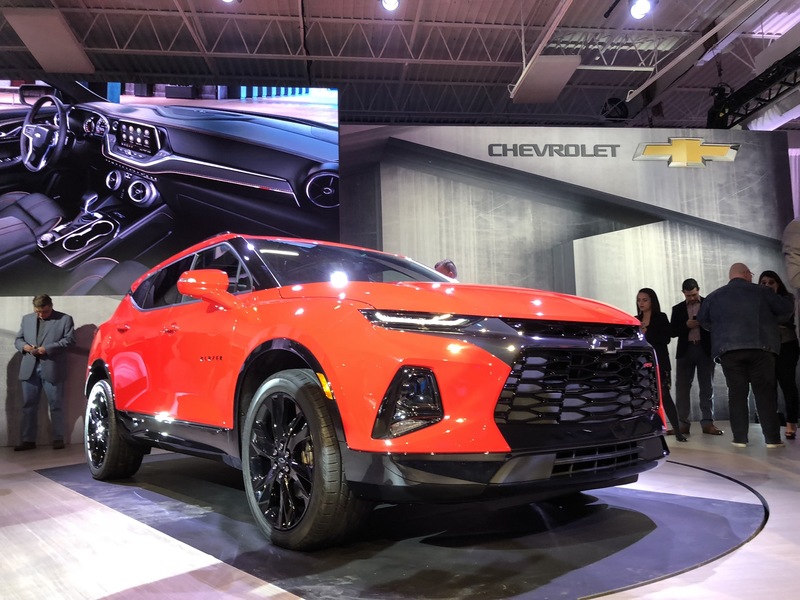 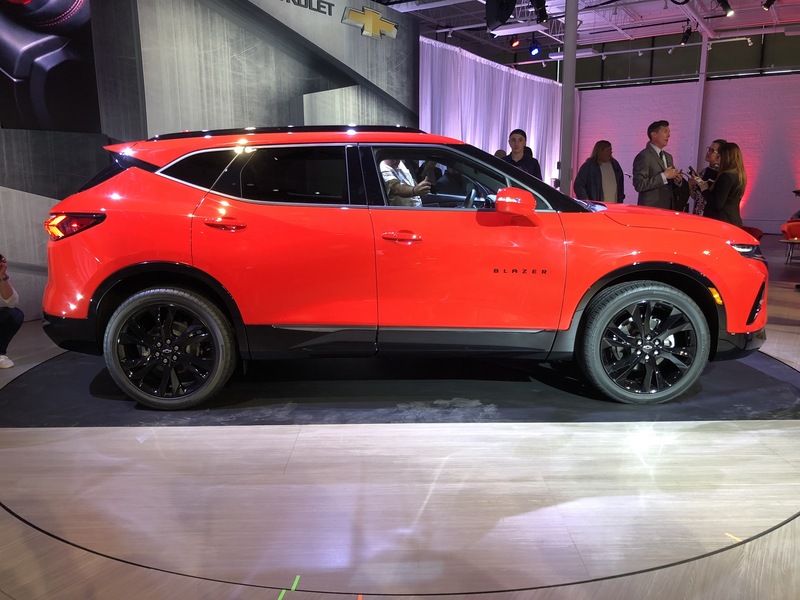 The Chevrolet FNR-CarryAll is a concept vehicle that previewed the three-row version of Chevy’s all-new 2019 Blazer. 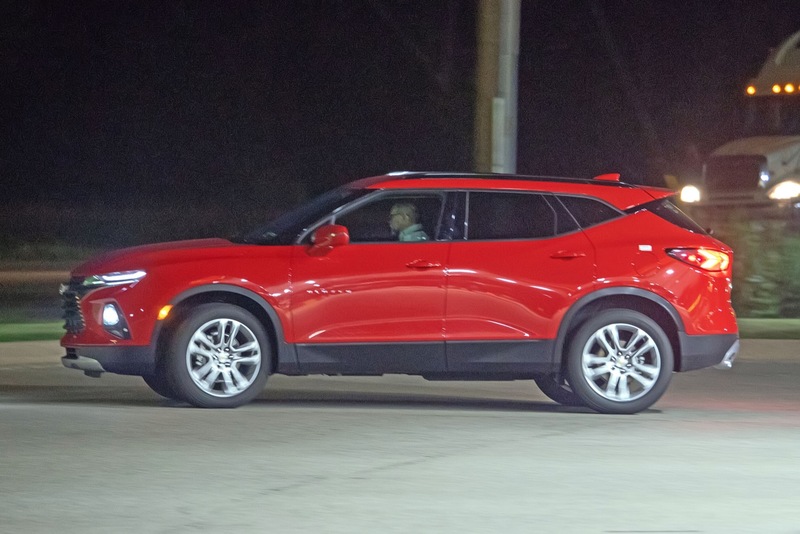 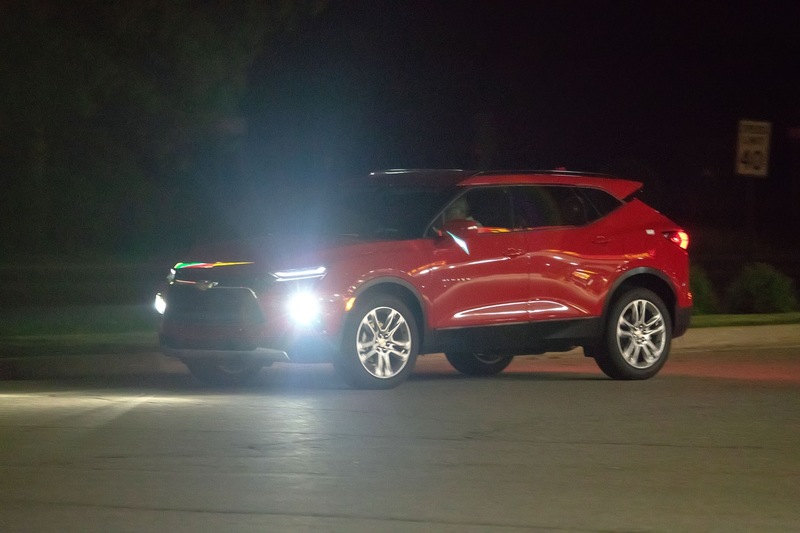 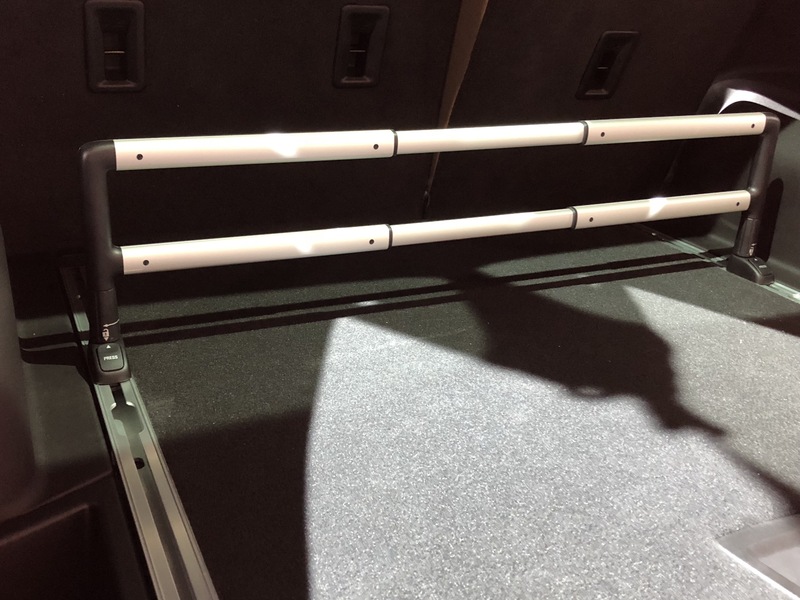 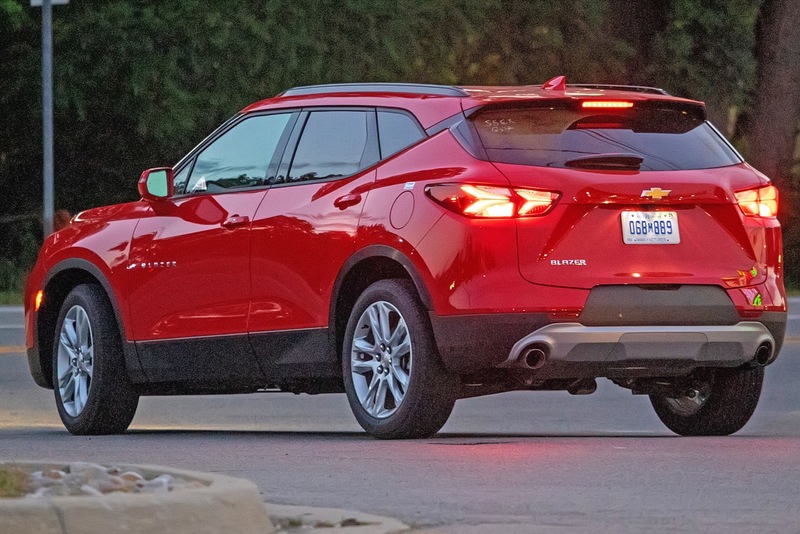 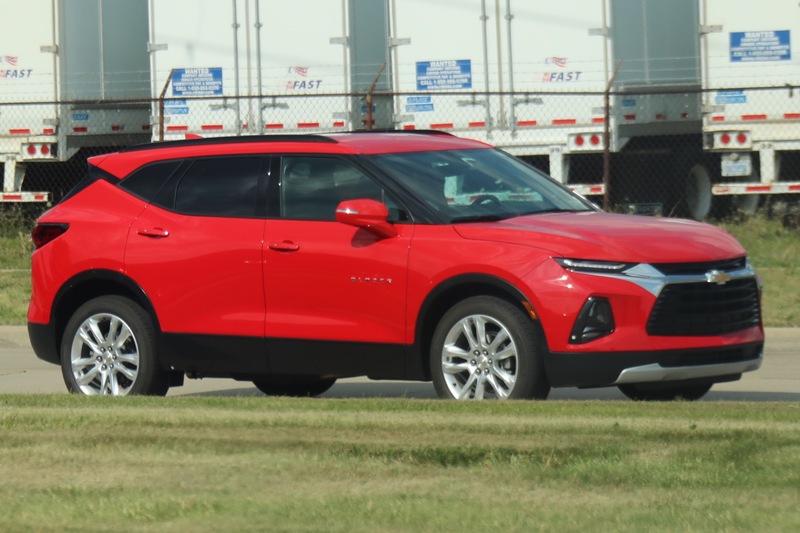 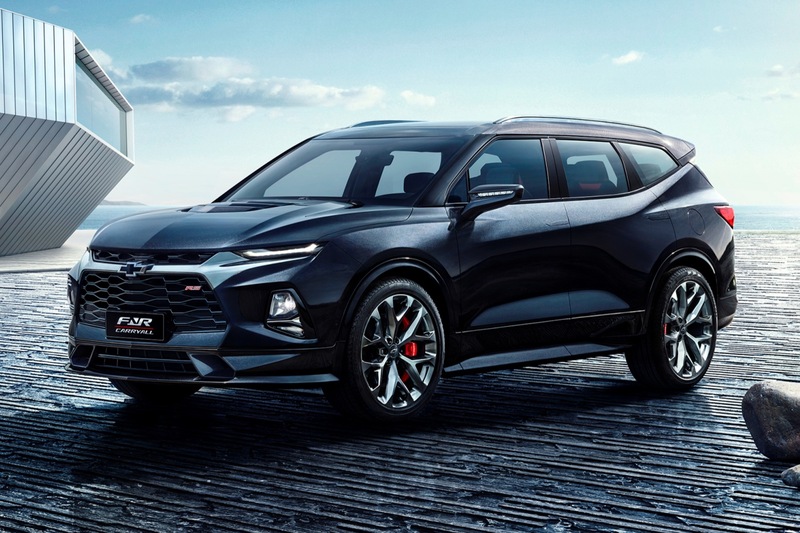 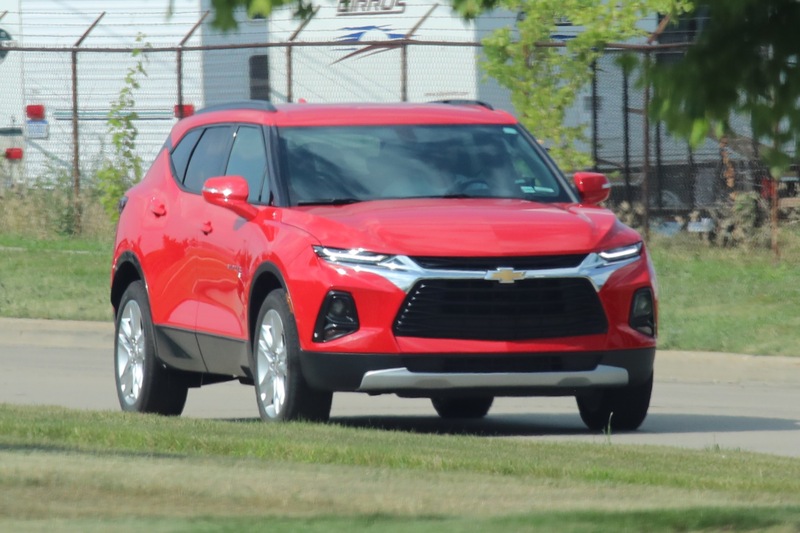 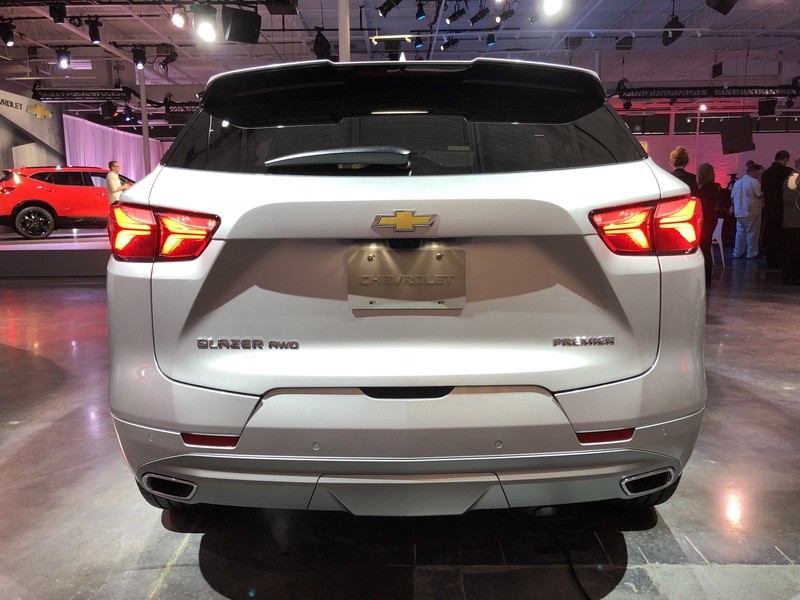 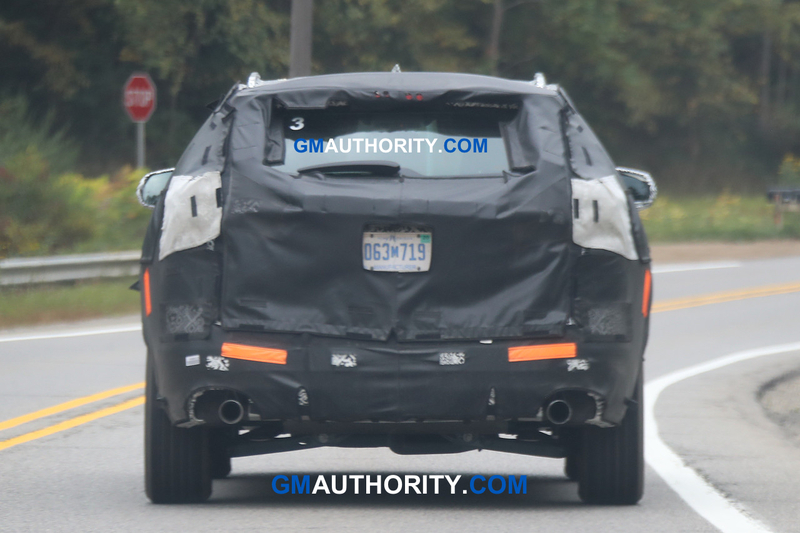 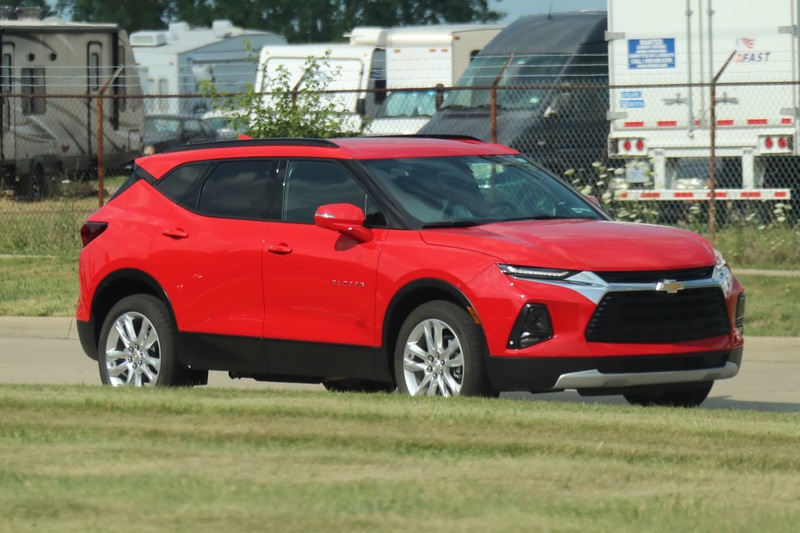 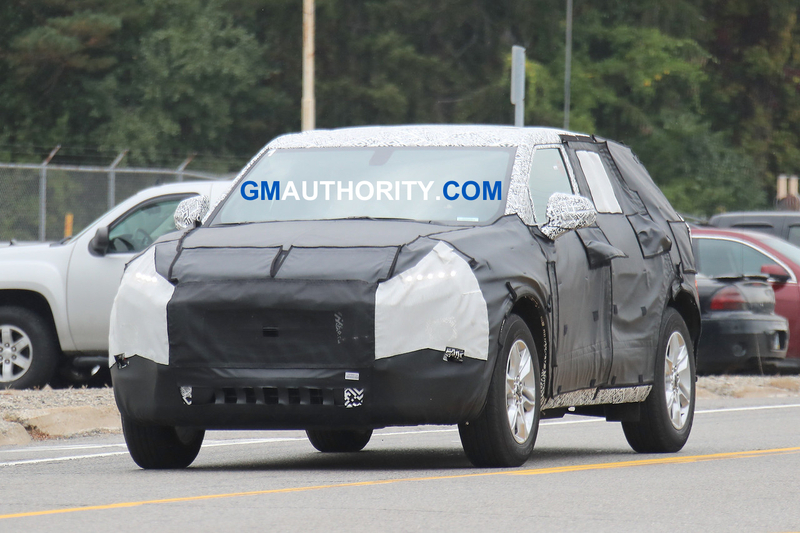 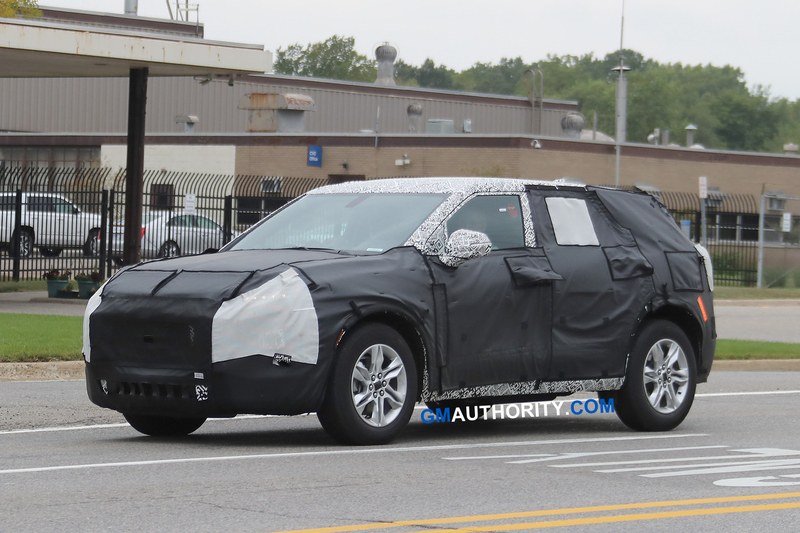 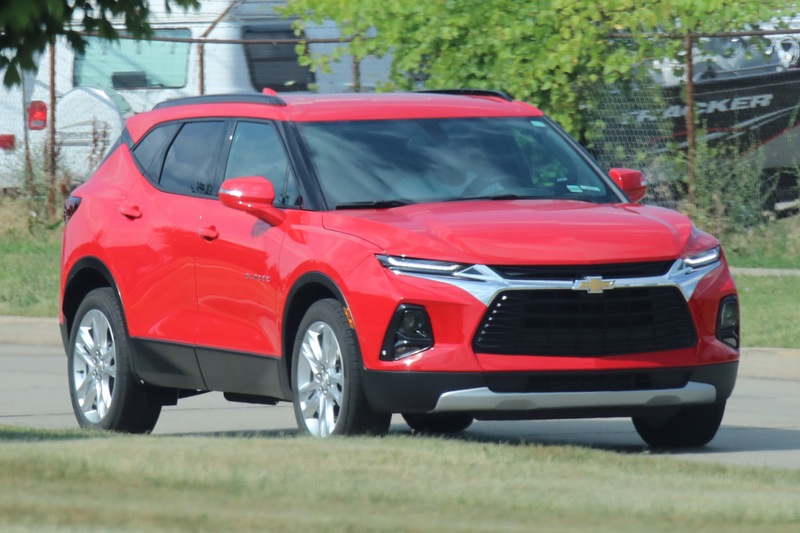 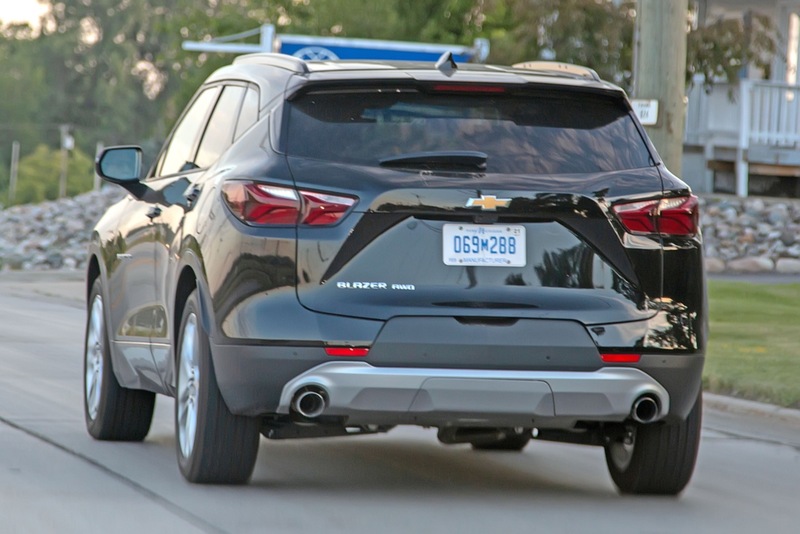 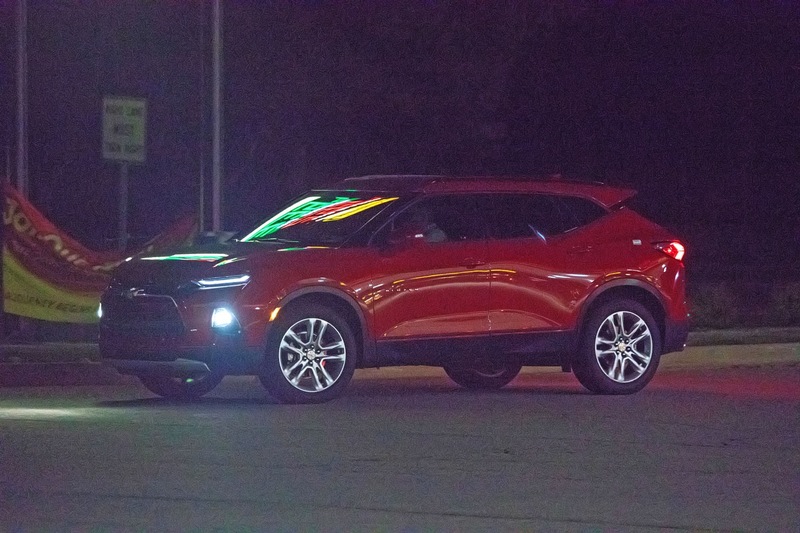 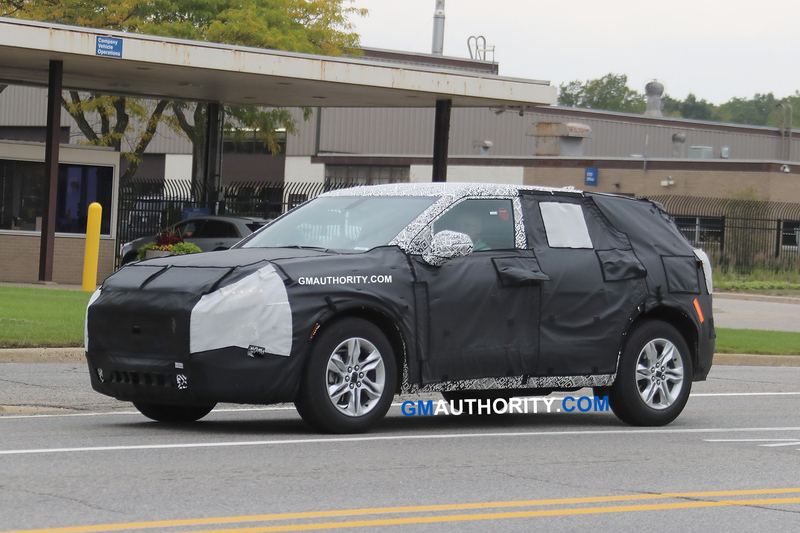 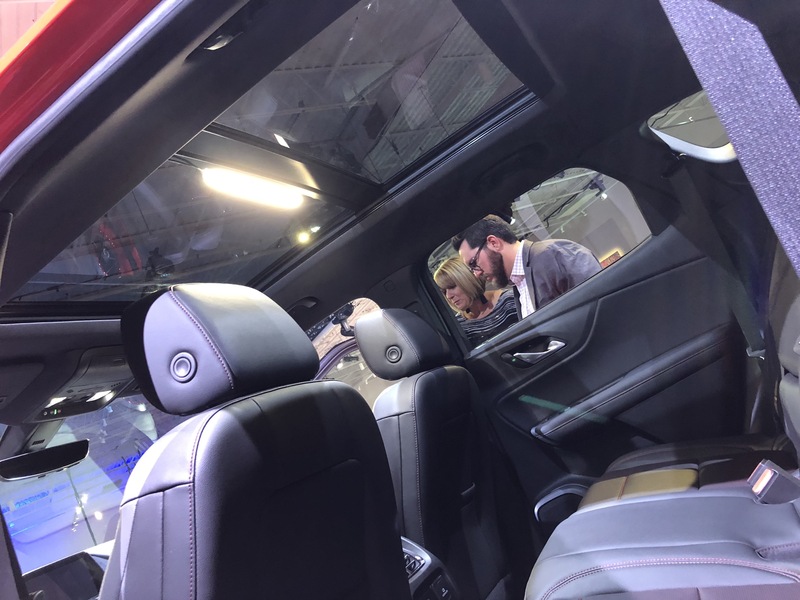 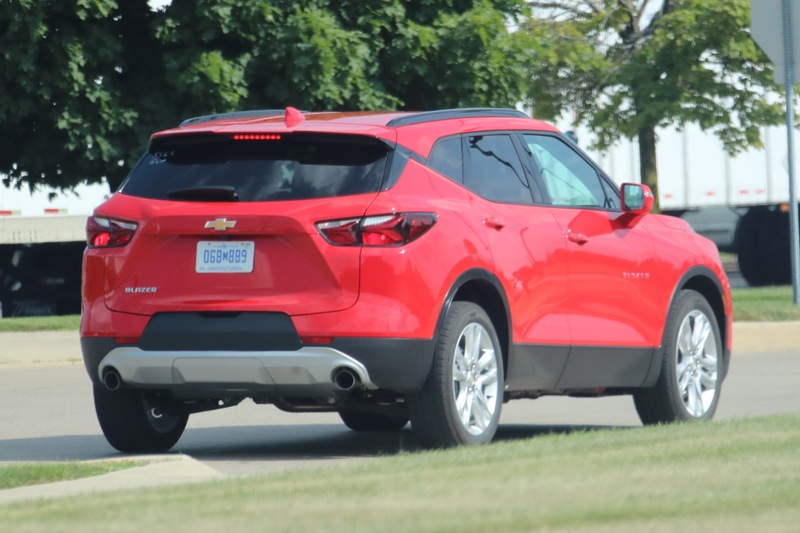 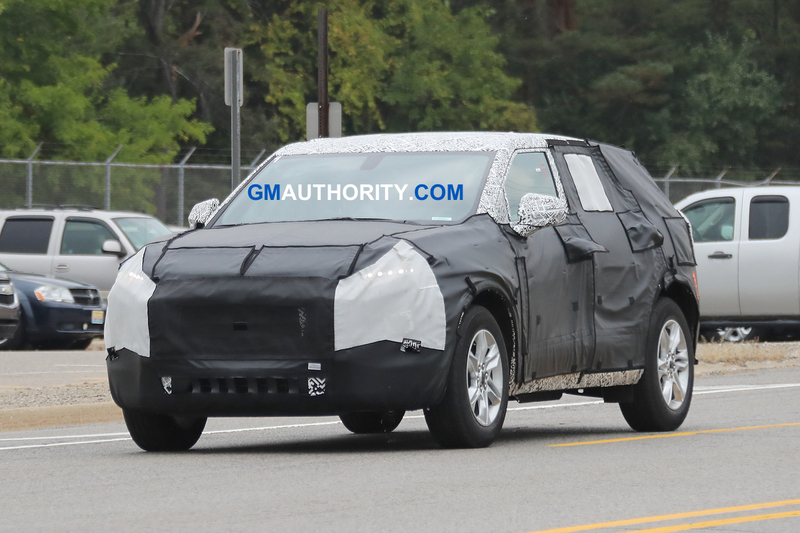 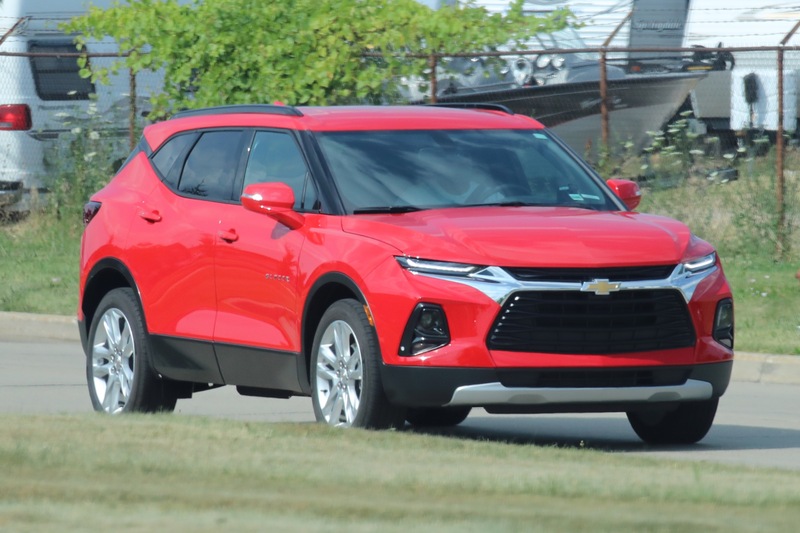 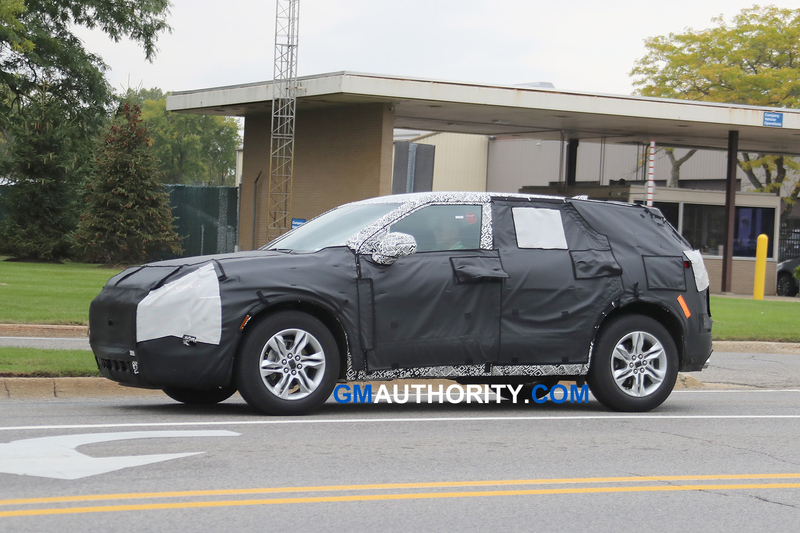 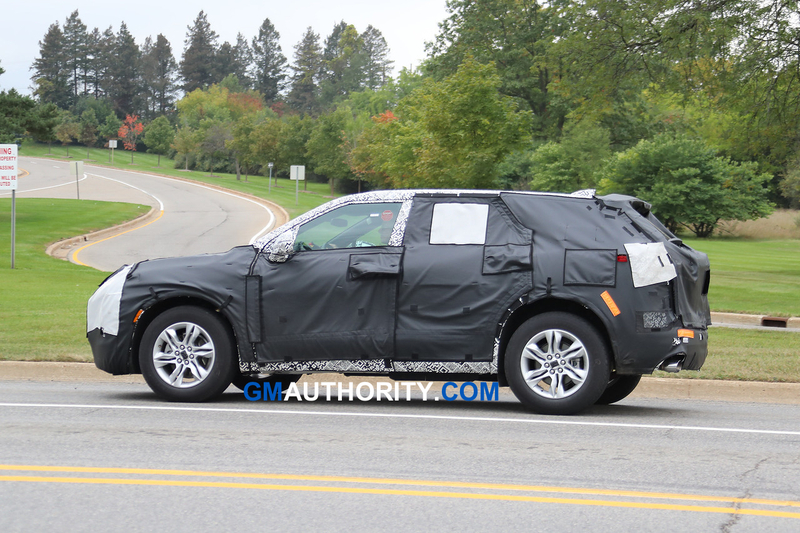 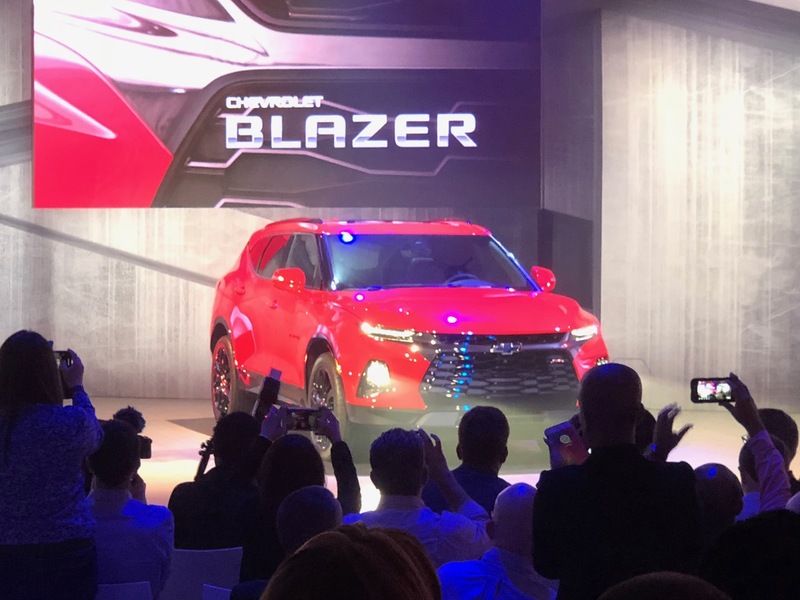 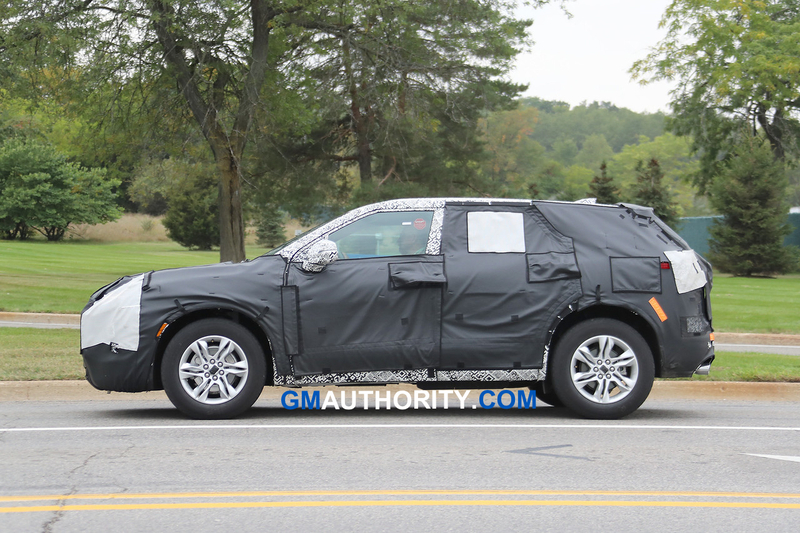 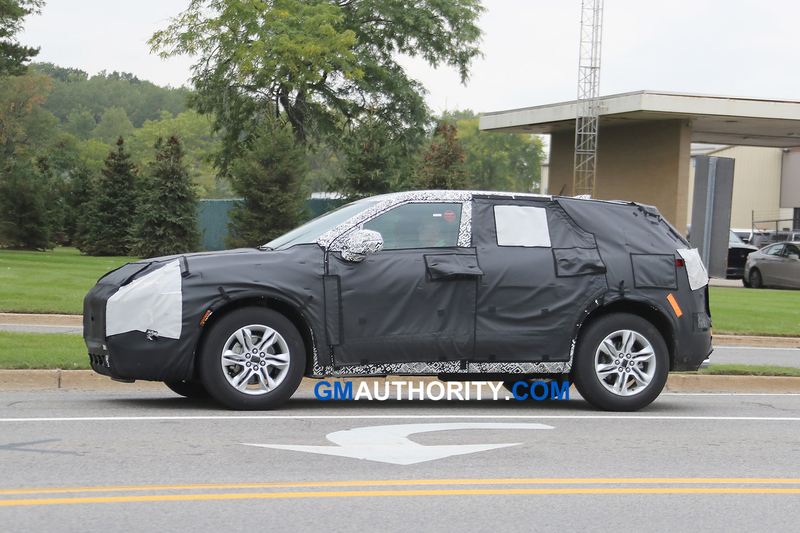 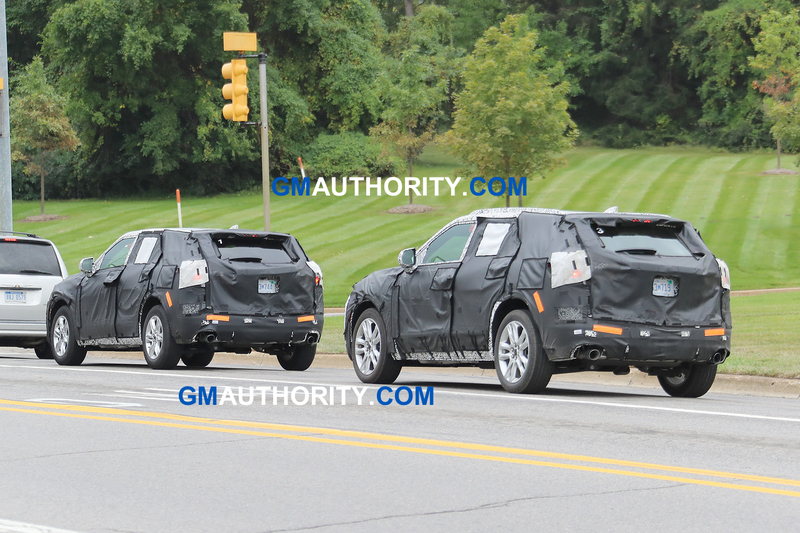 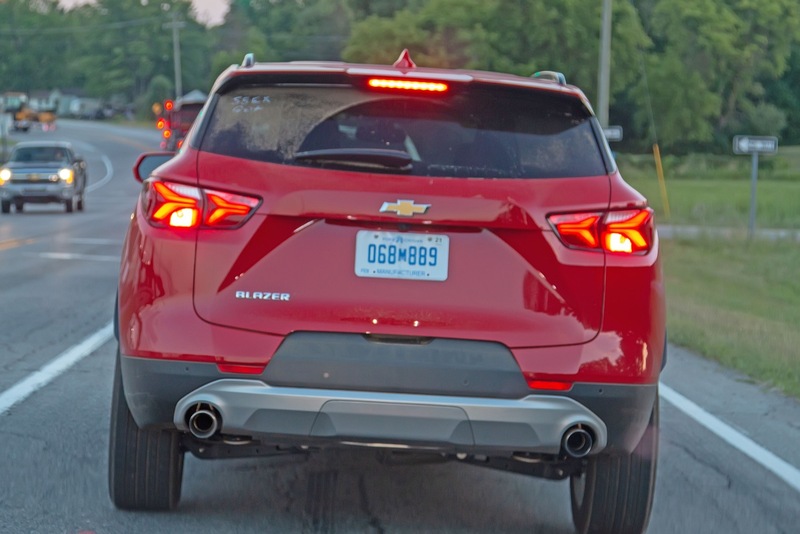 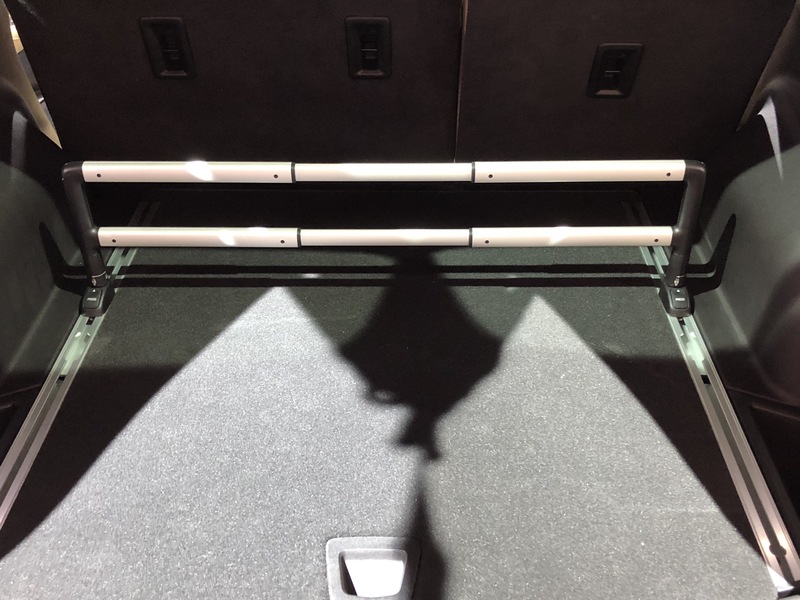 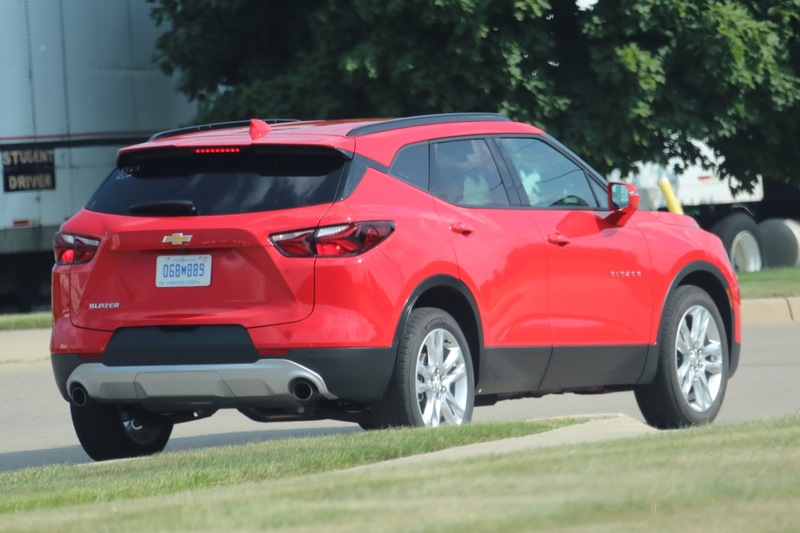 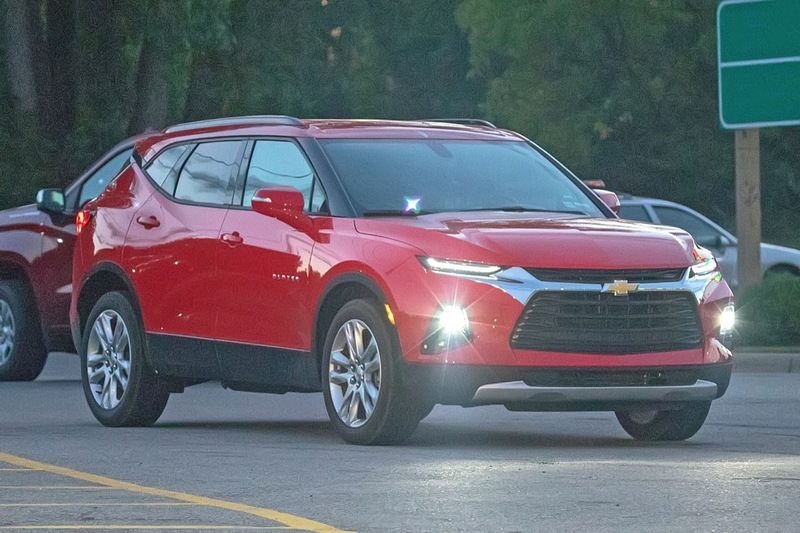 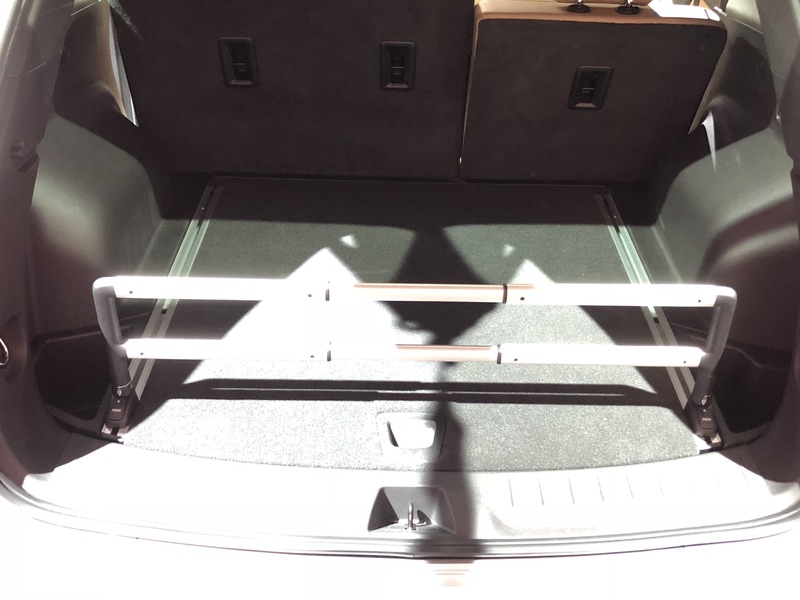 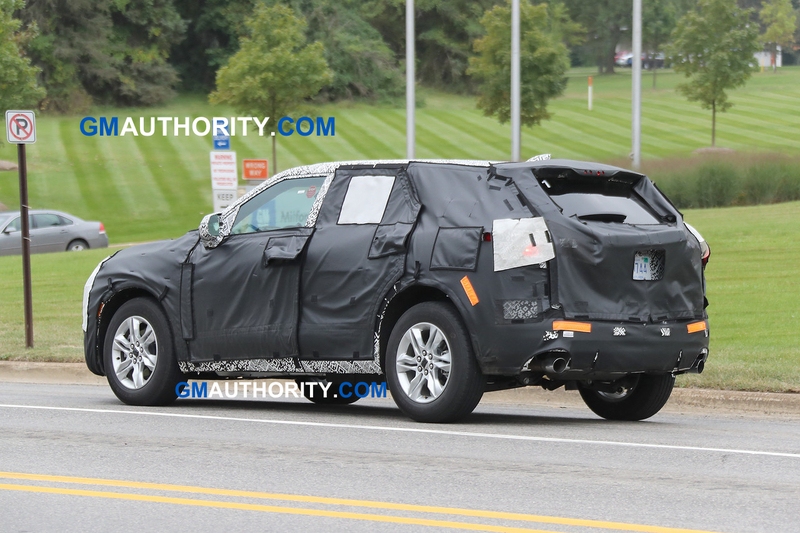 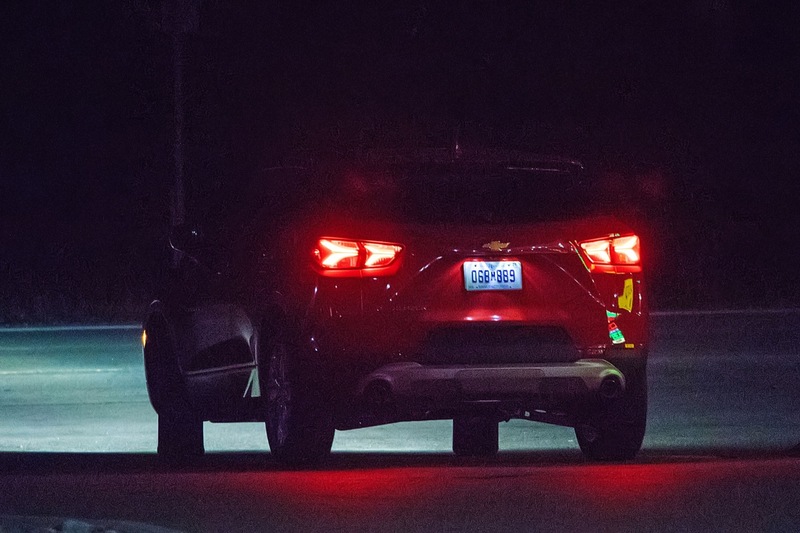 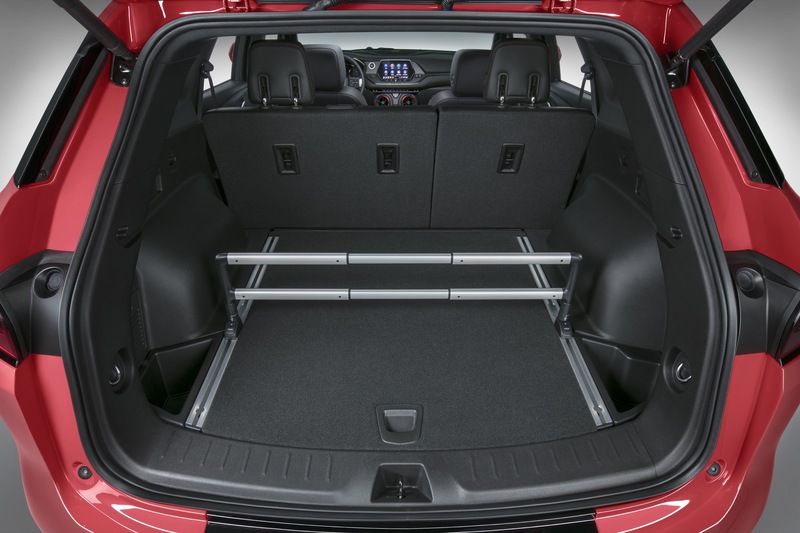 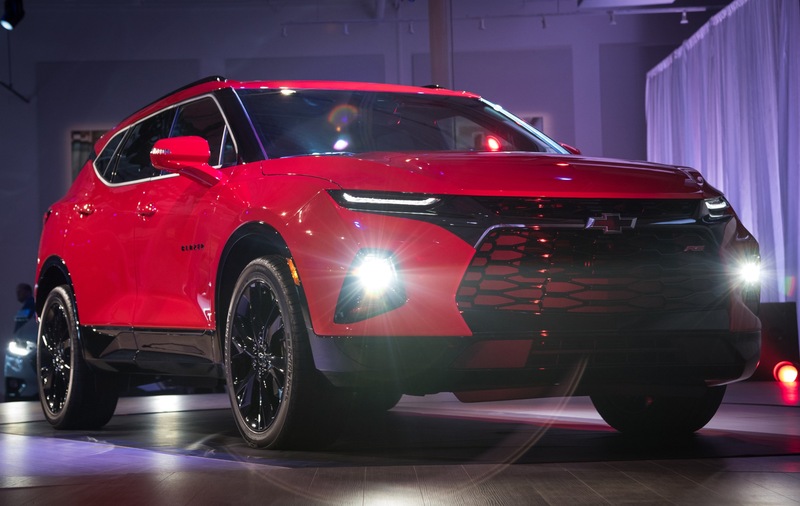 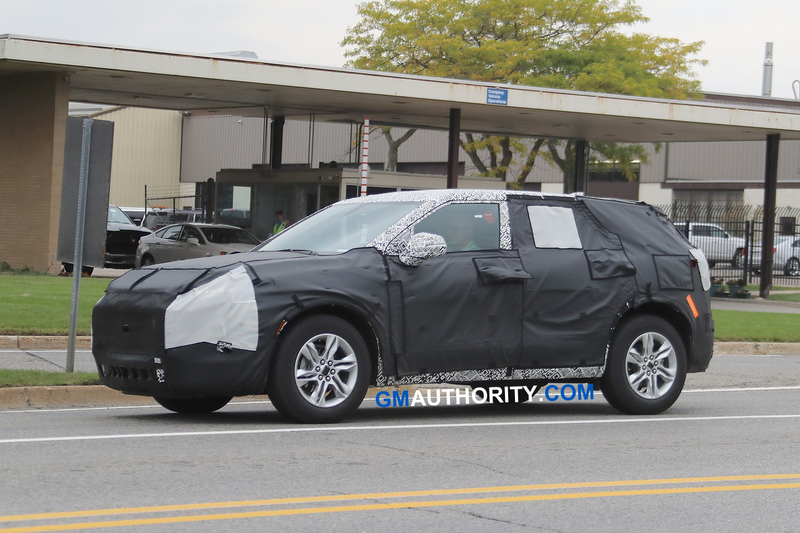 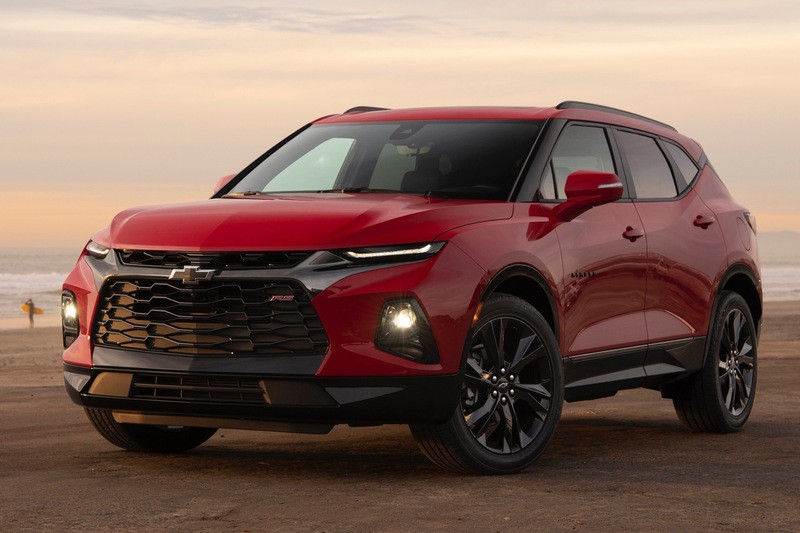 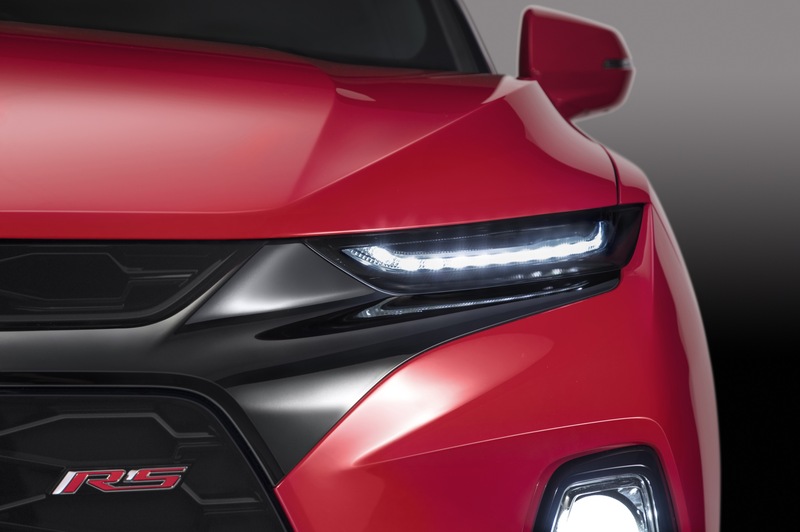 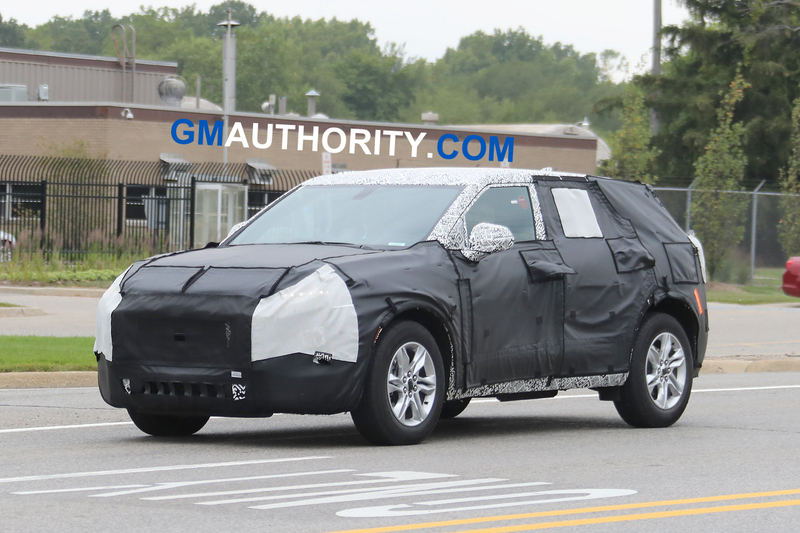 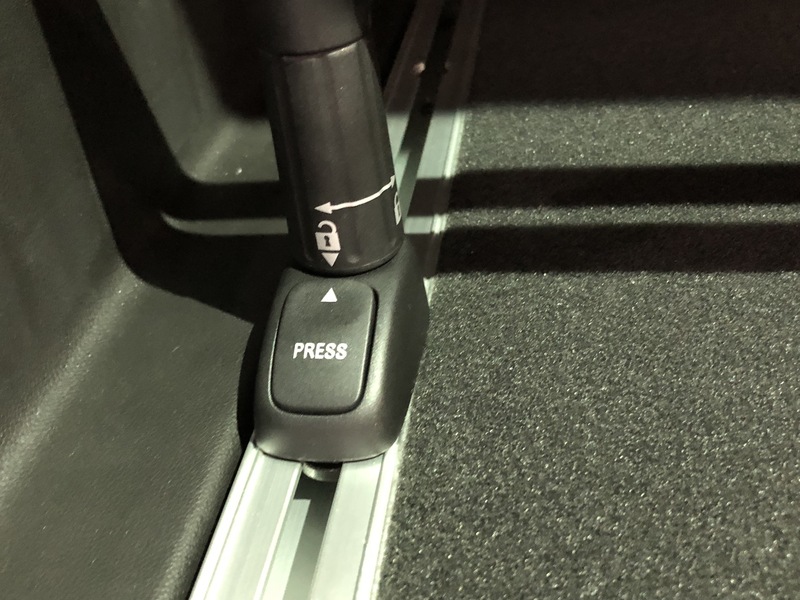 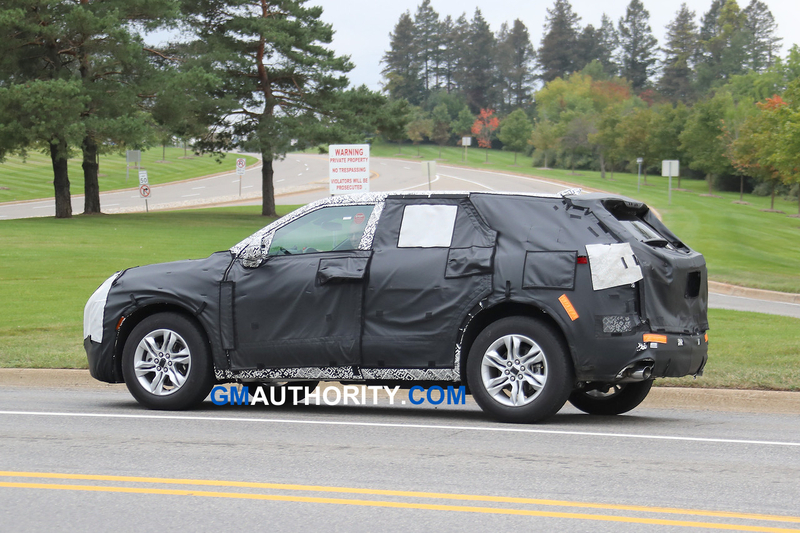 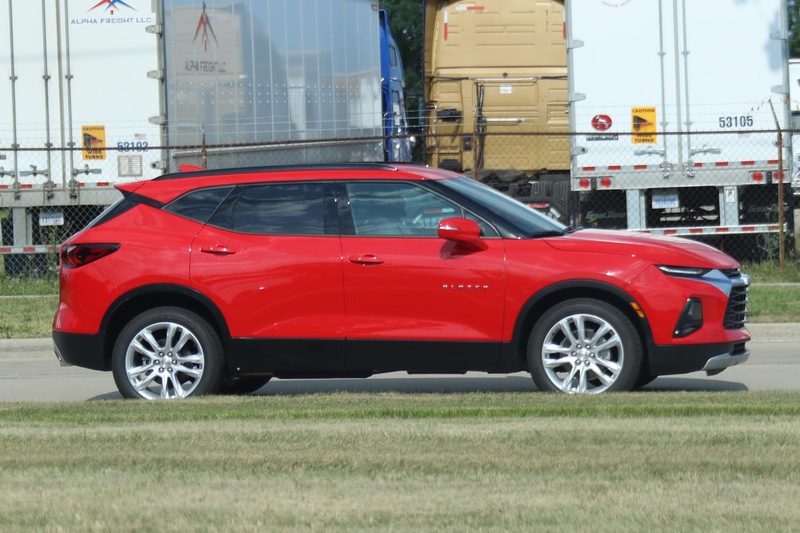 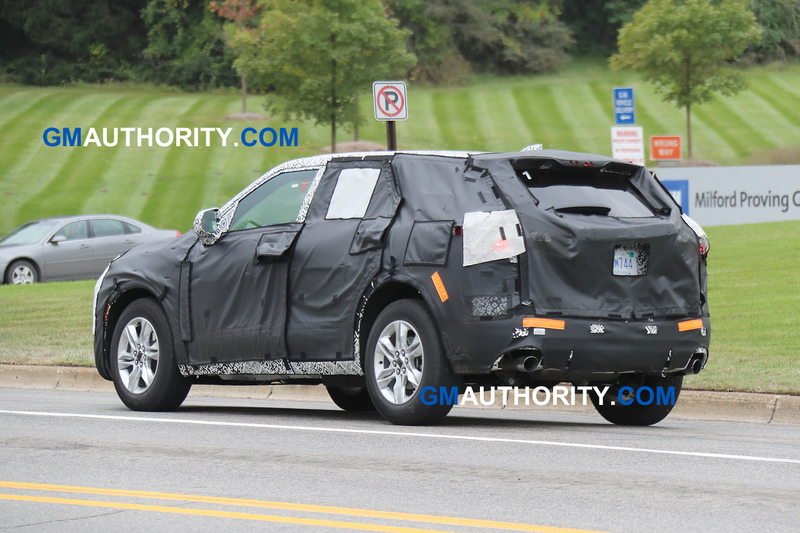 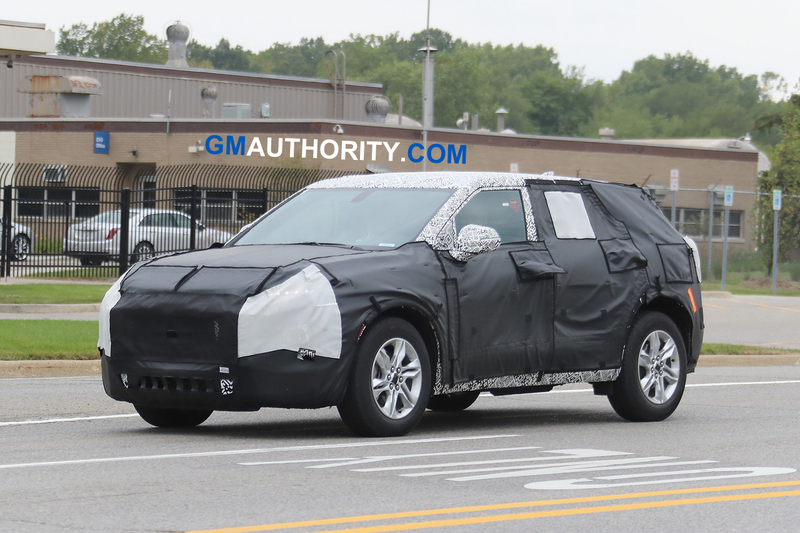 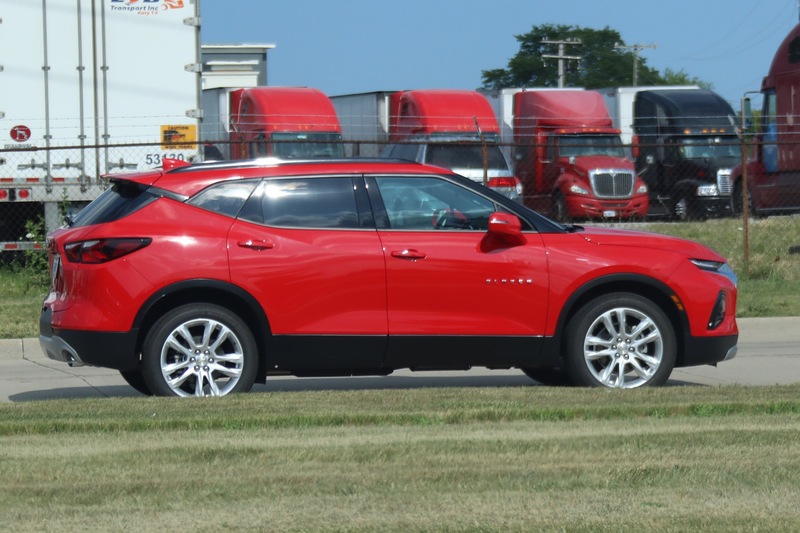 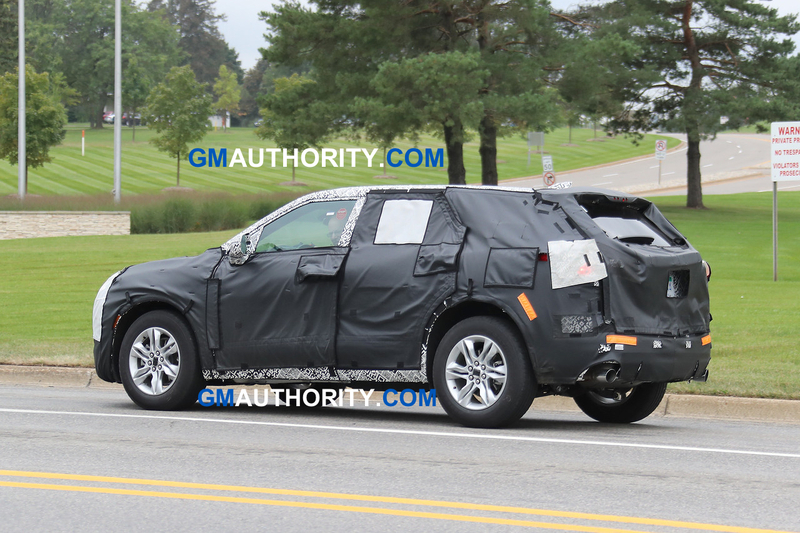 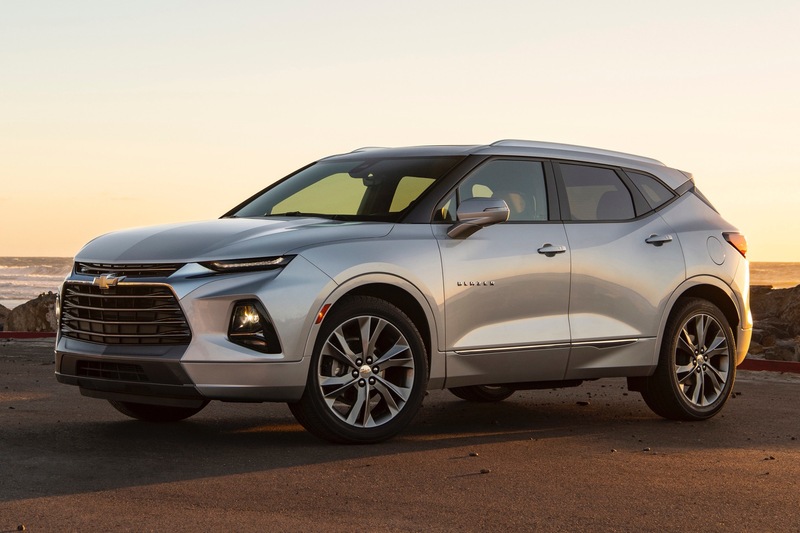 All that aside, the FNR-CarryAll is essentially the 2019 Chevrolet Blazer but with a modified roof between the C- and D-pillars that allow for the inclusion of a third row. 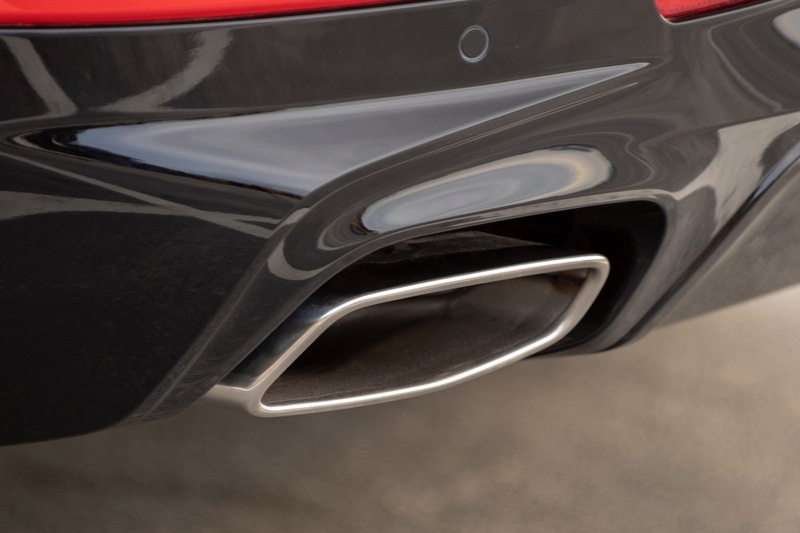 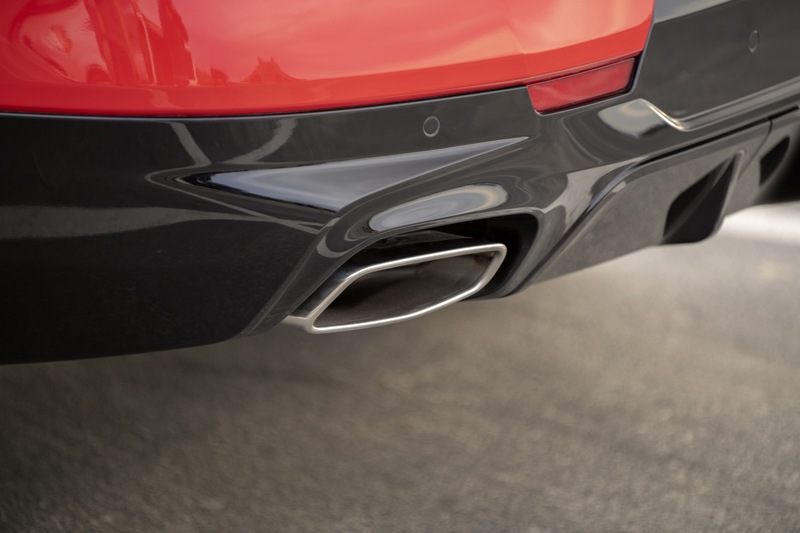 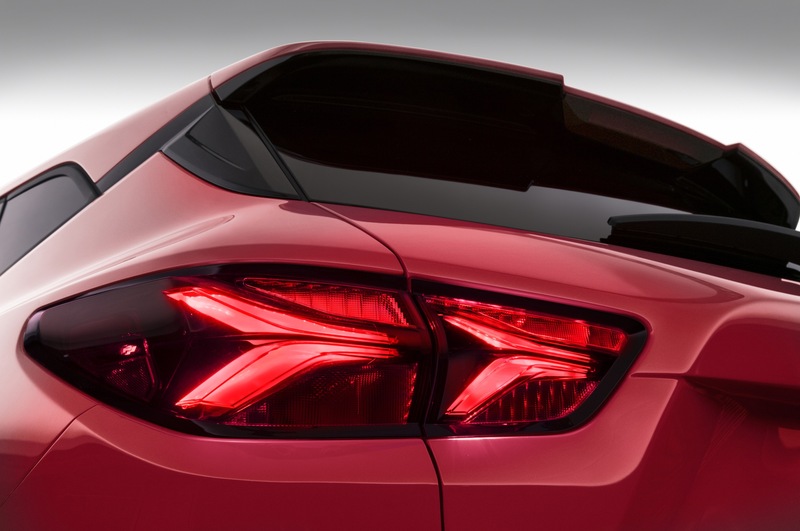 The concept measures in at 5,000 mm (196 inches) on a wheelbase that’s 2,867 mm (112.87 inches). 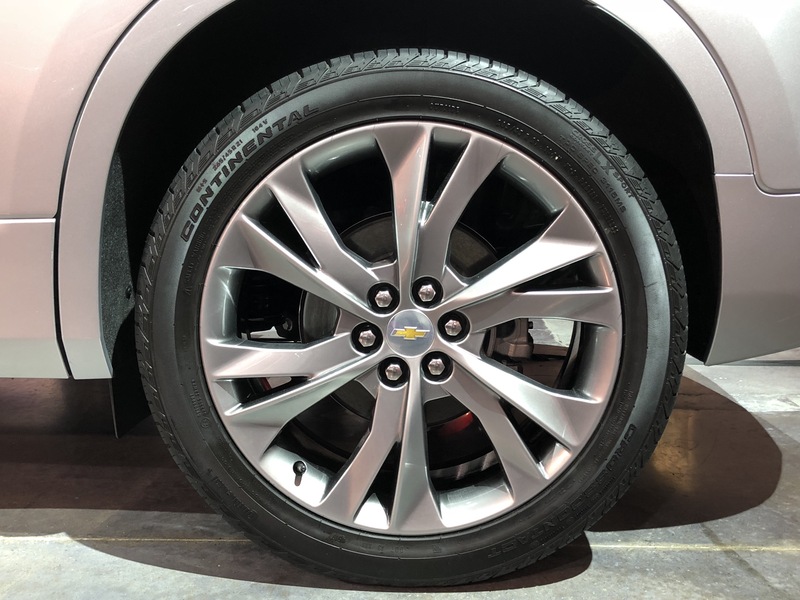 However, we have reason to believe that the wheelbase is actually 112.5 inches (2858 mm). 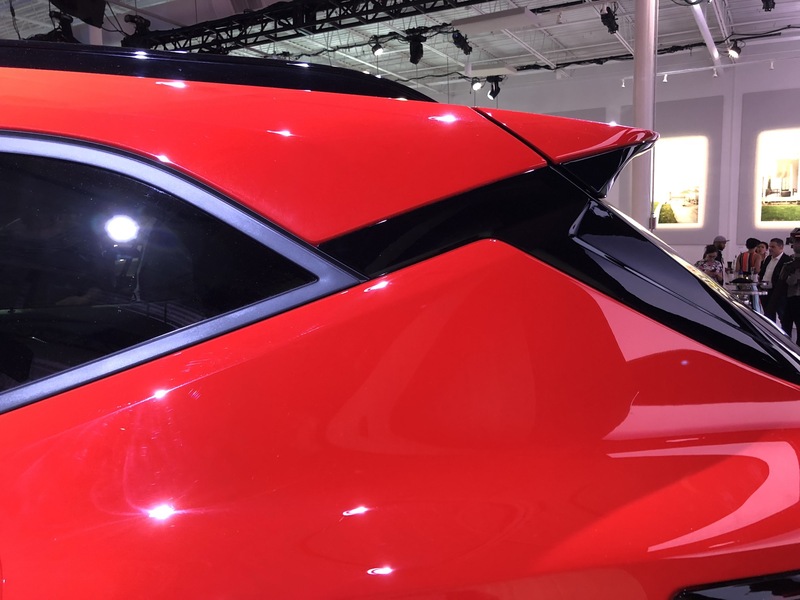 Width is 2,258 mm (88.9 inches) and height is 1,693 mm (66.65 inches). 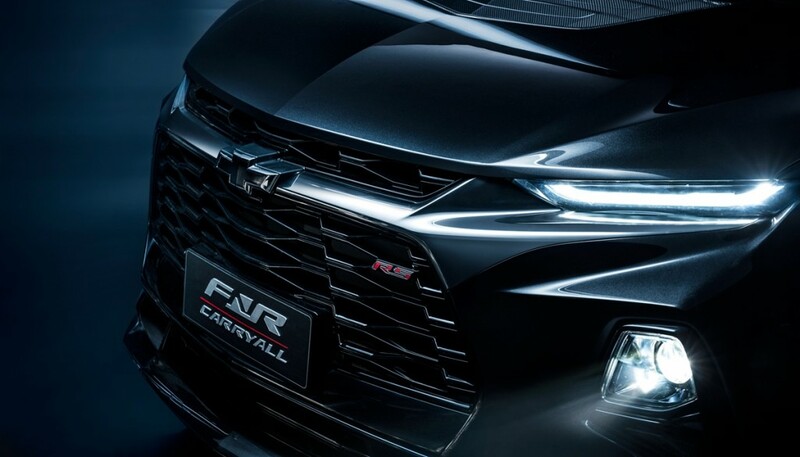 The FNR-CarryAll is coated in a Pearl Black exterior with a bold front face and a “boomerang” D-pillar design. 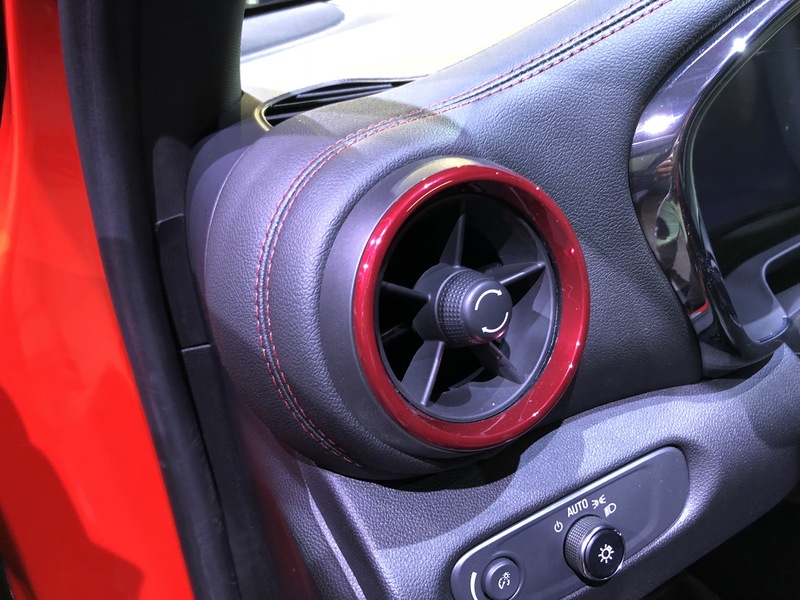 There’s also an air extractor integrated within the engine cover (hood). 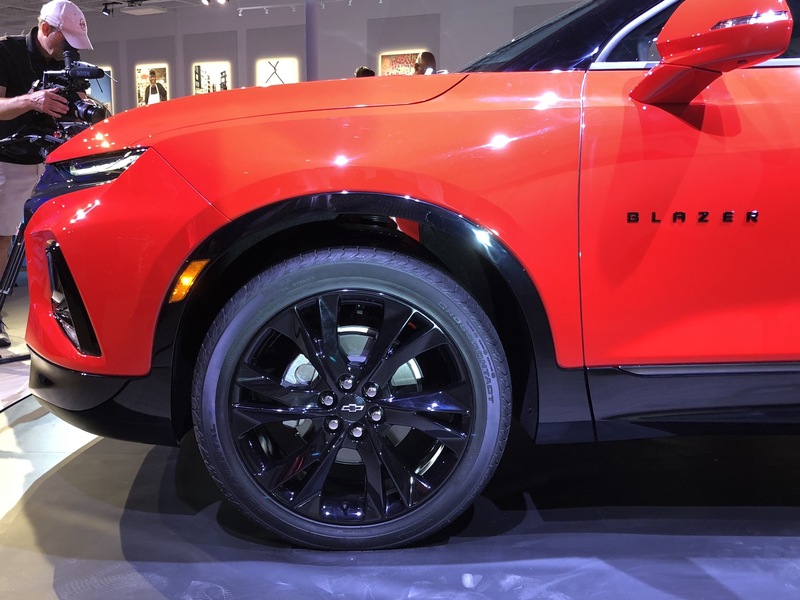 The concept rides on 22-inch aluminum alloy wheels. 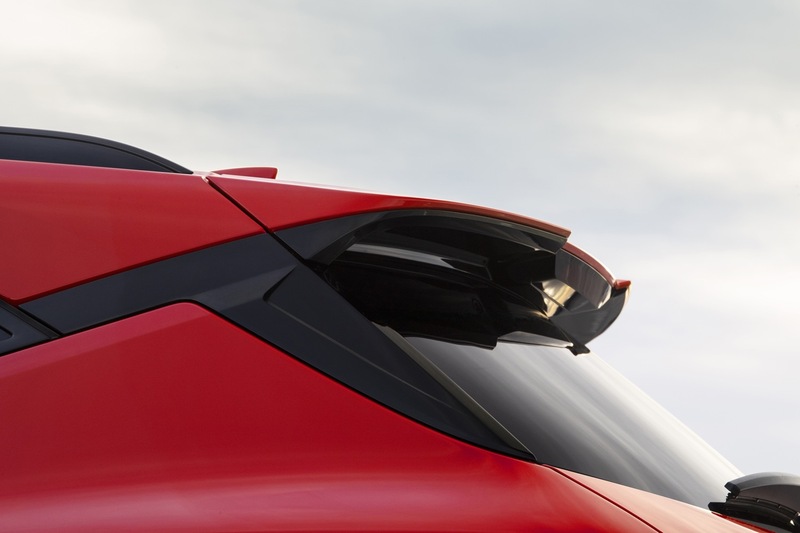 Concept-level exterior elements include red Brembo brake calipers, carbon ceramic rotors and a carbon fiber roof. 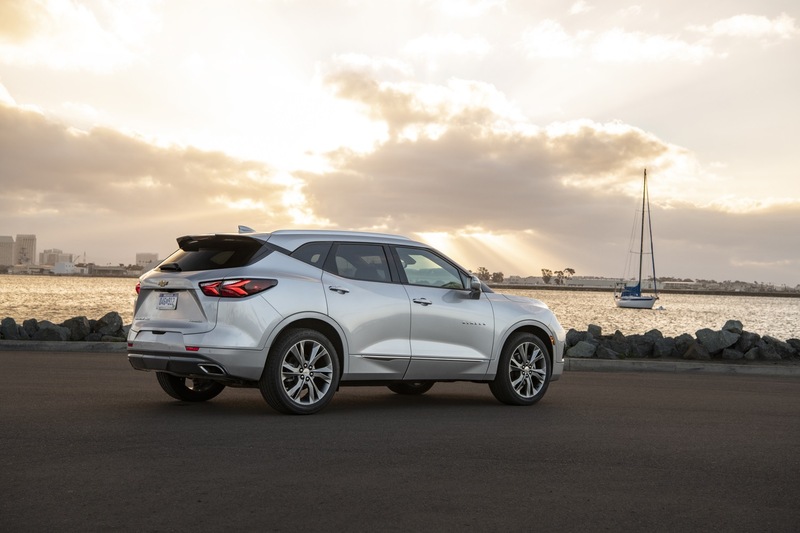 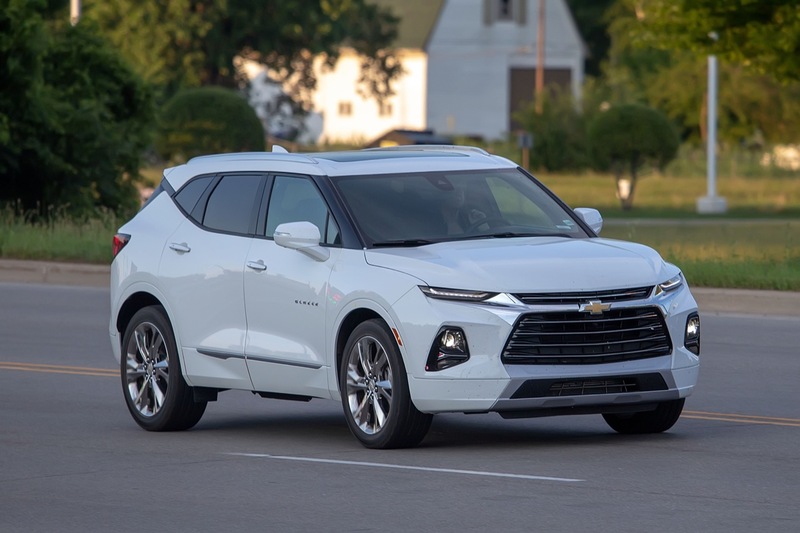 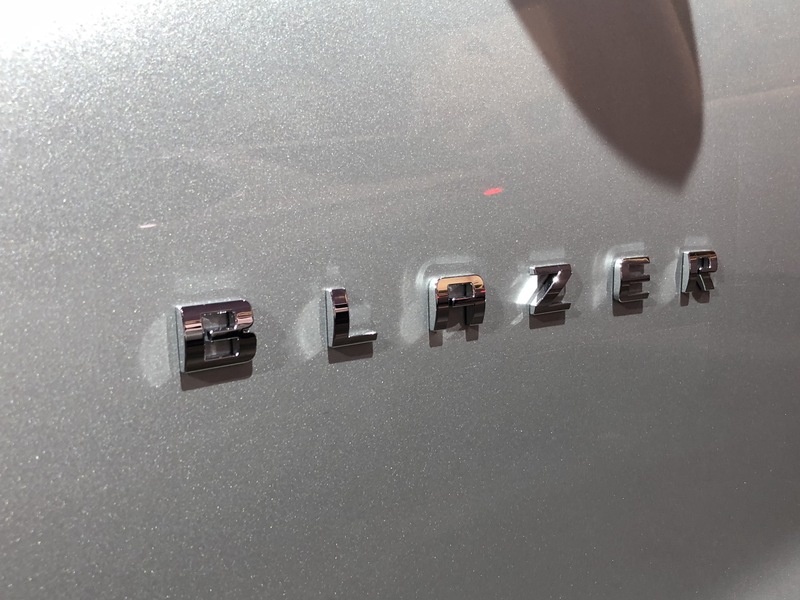 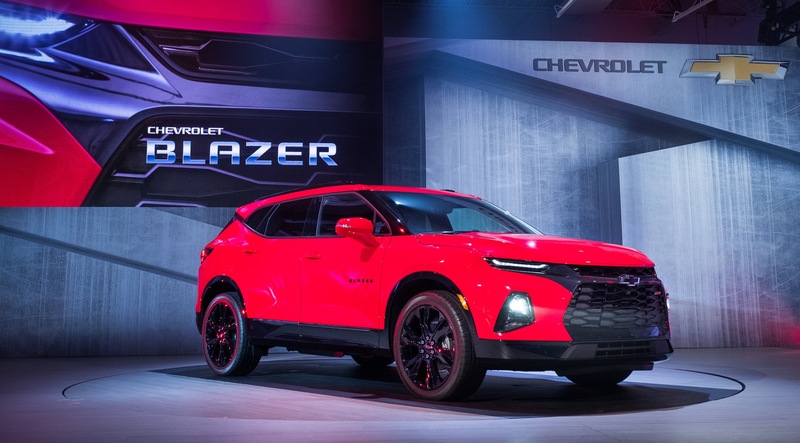 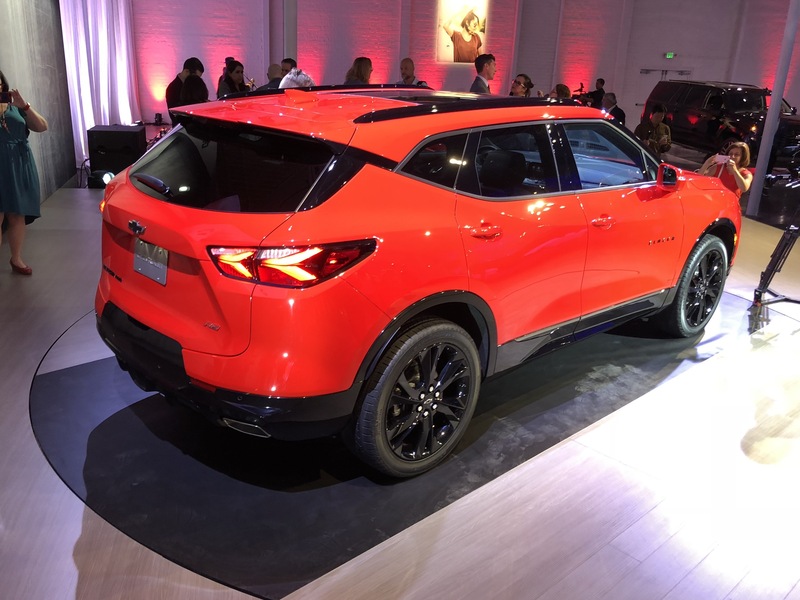 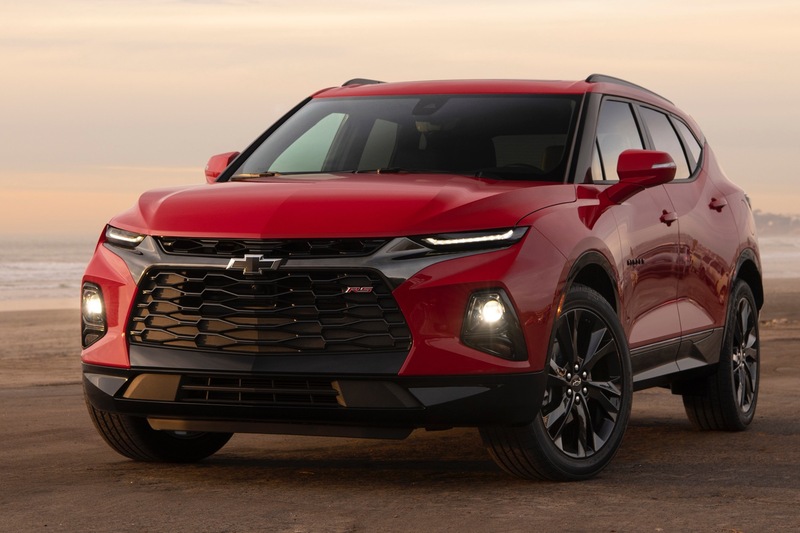 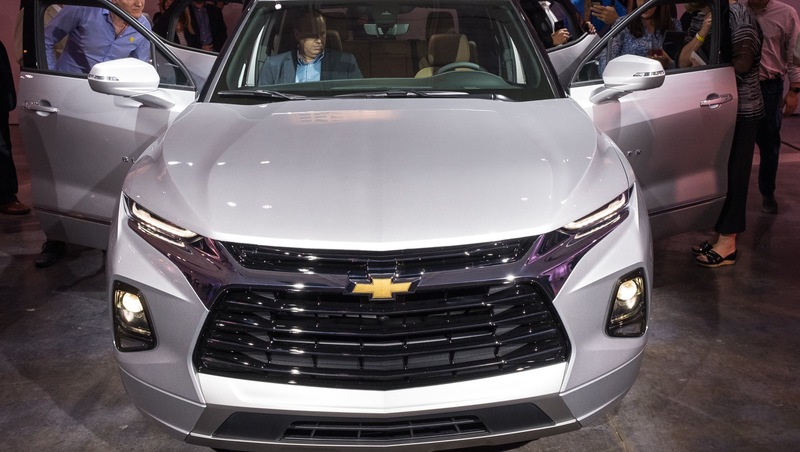 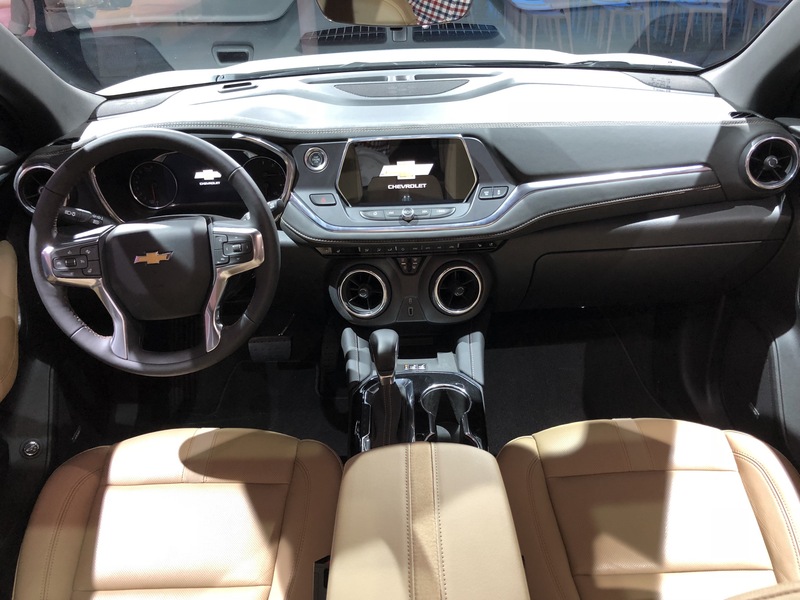 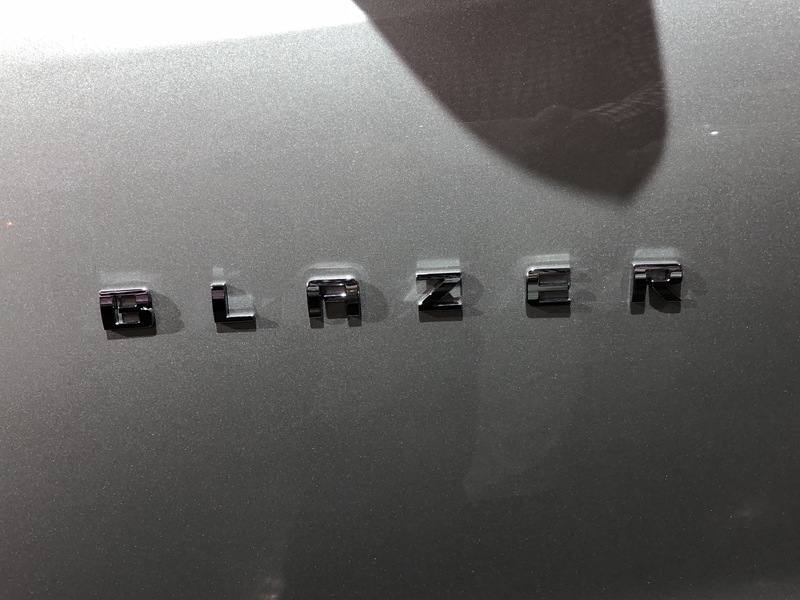 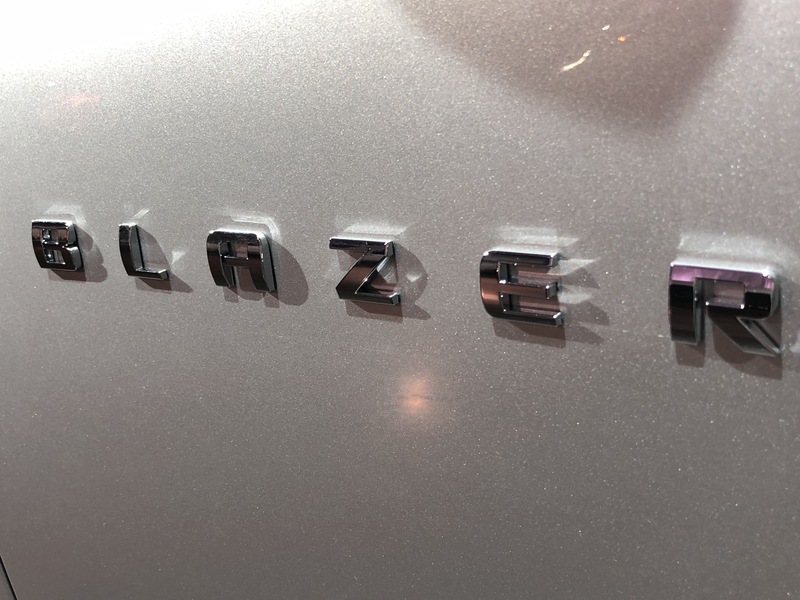 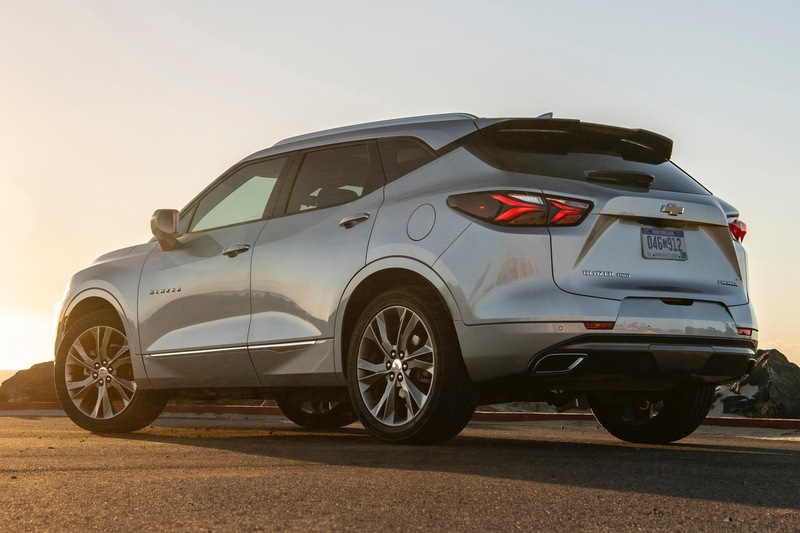 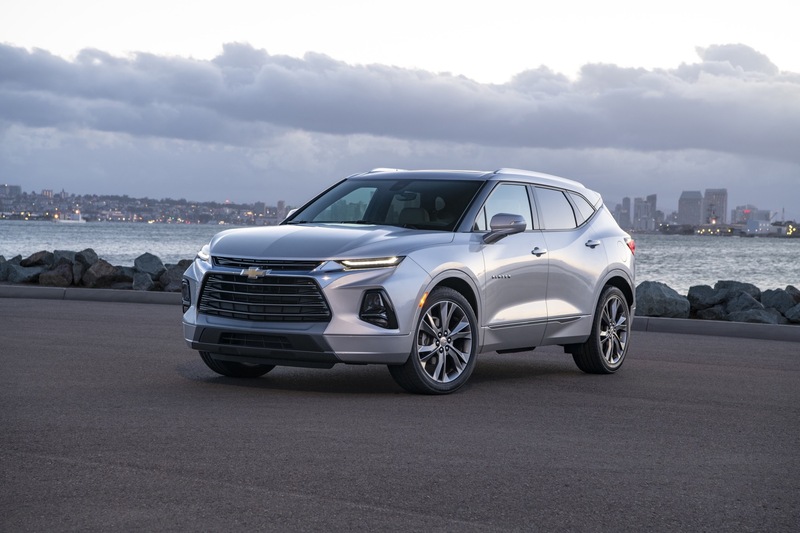 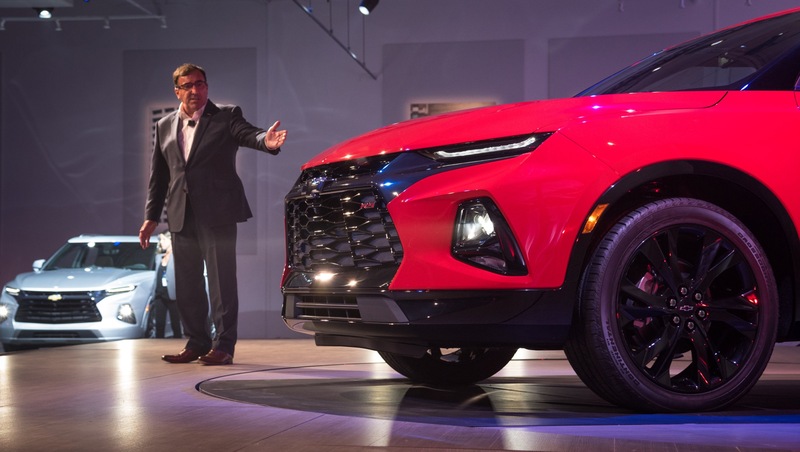 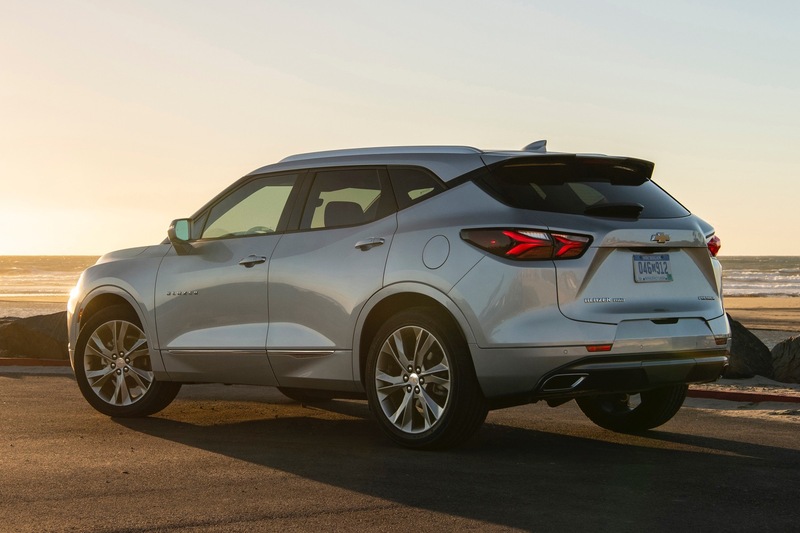 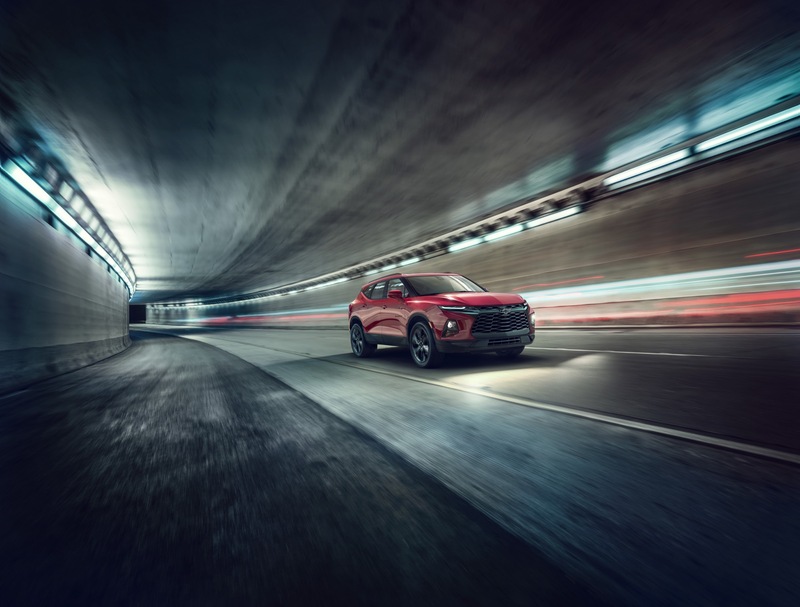 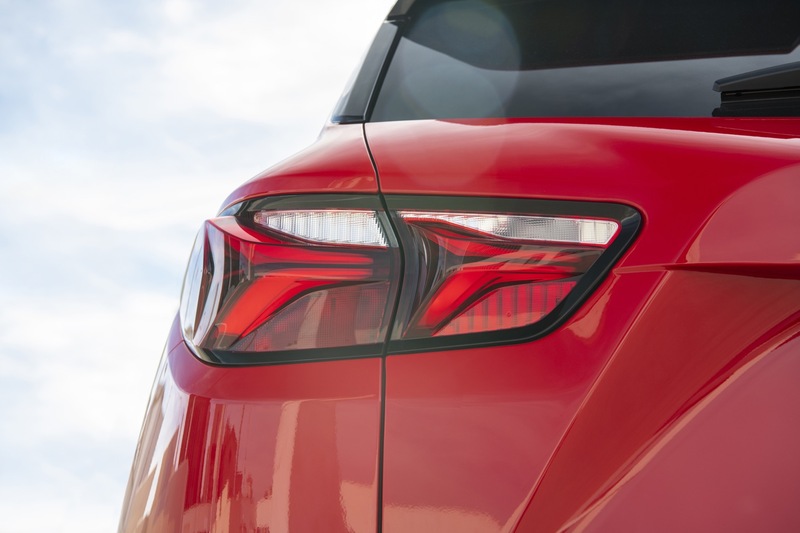 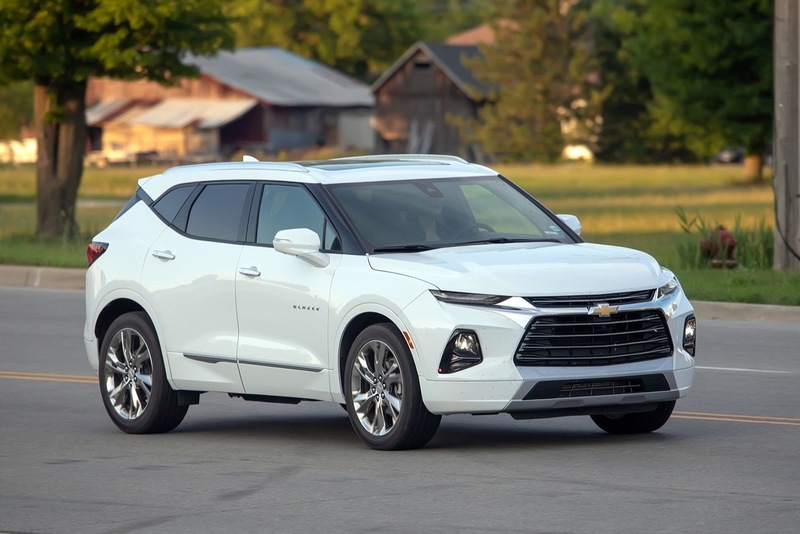 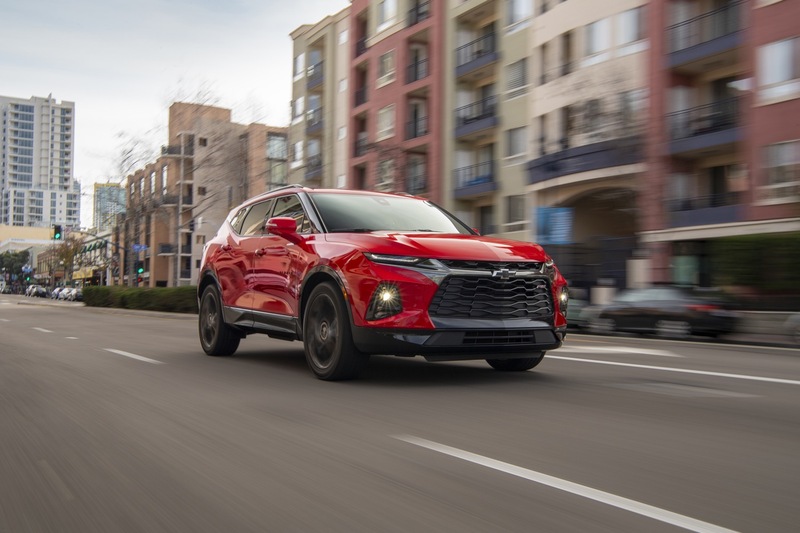 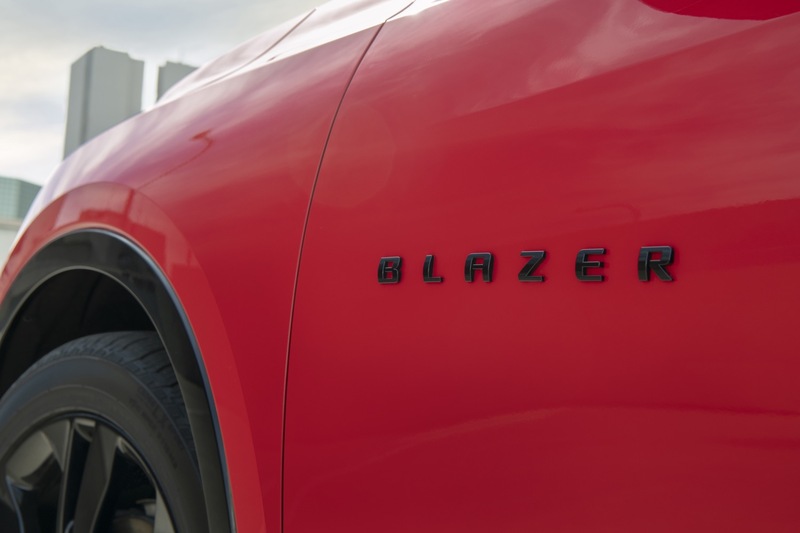 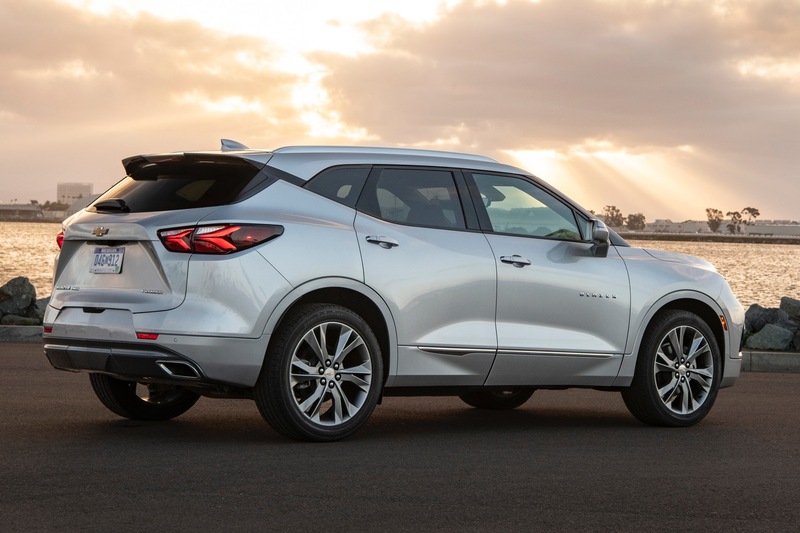 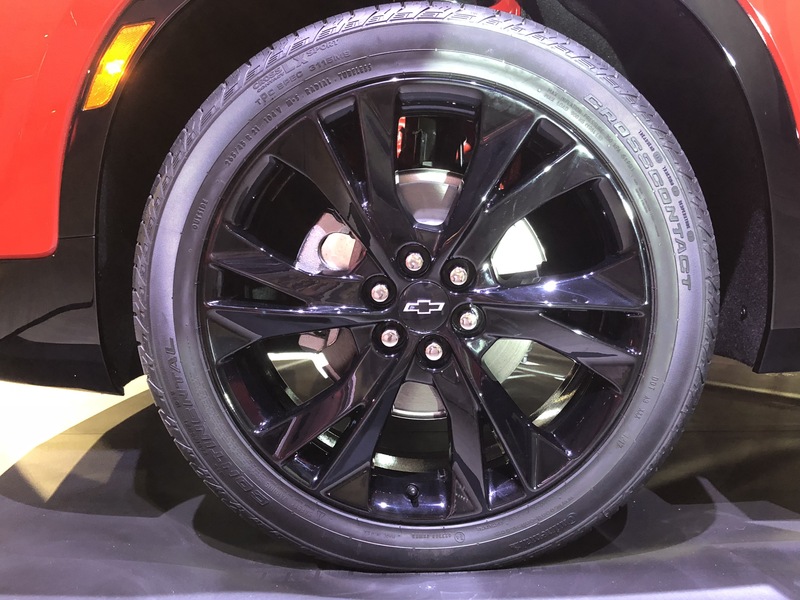 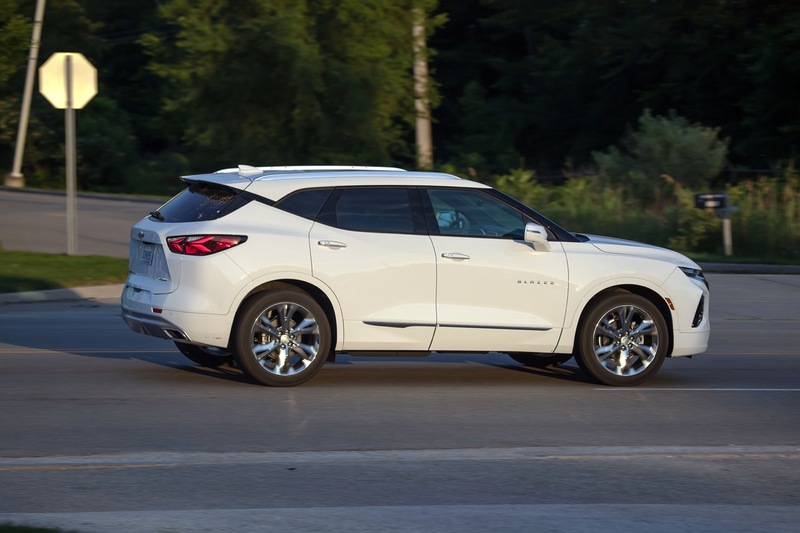 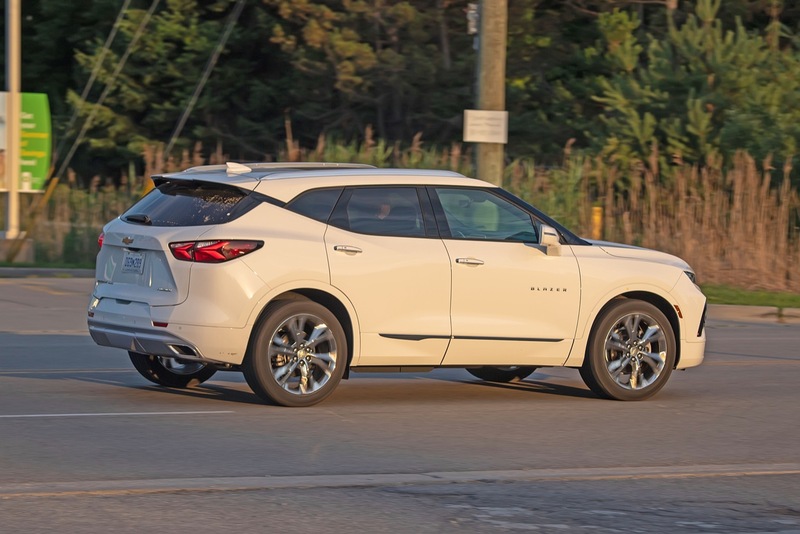 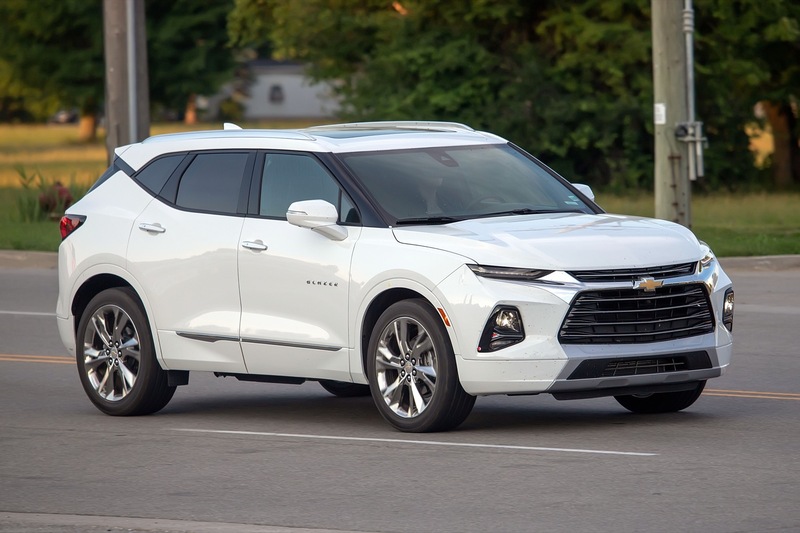 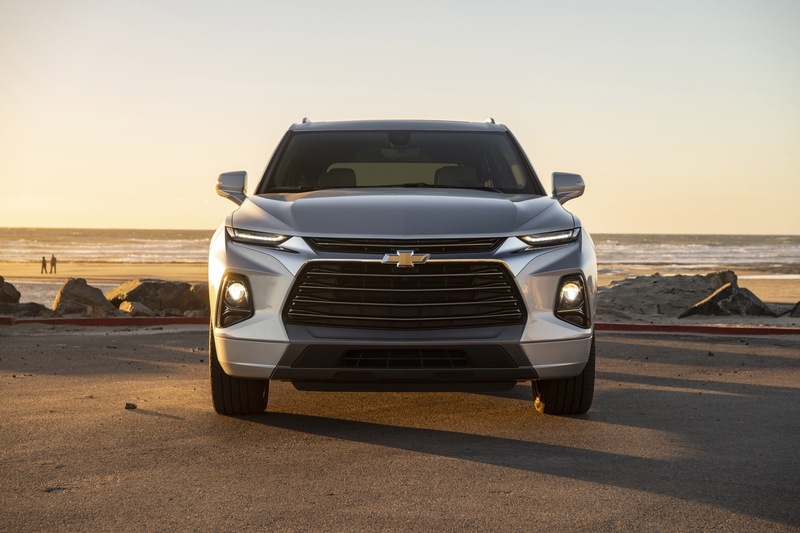 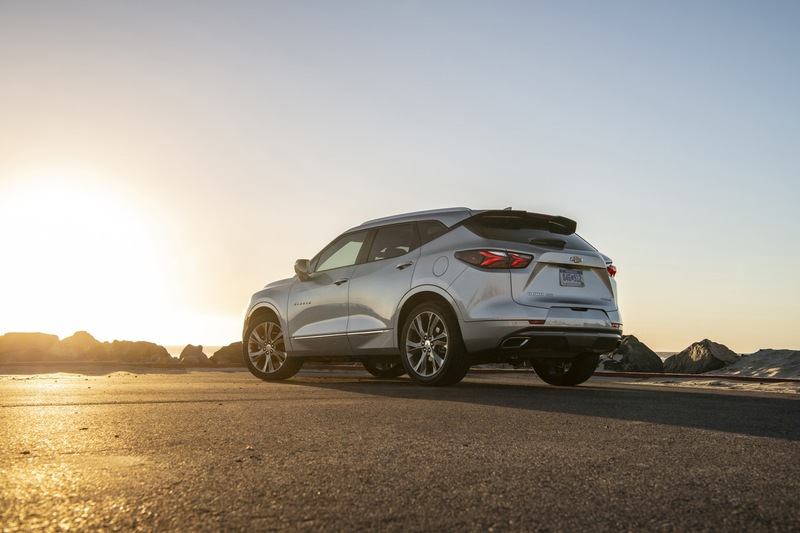 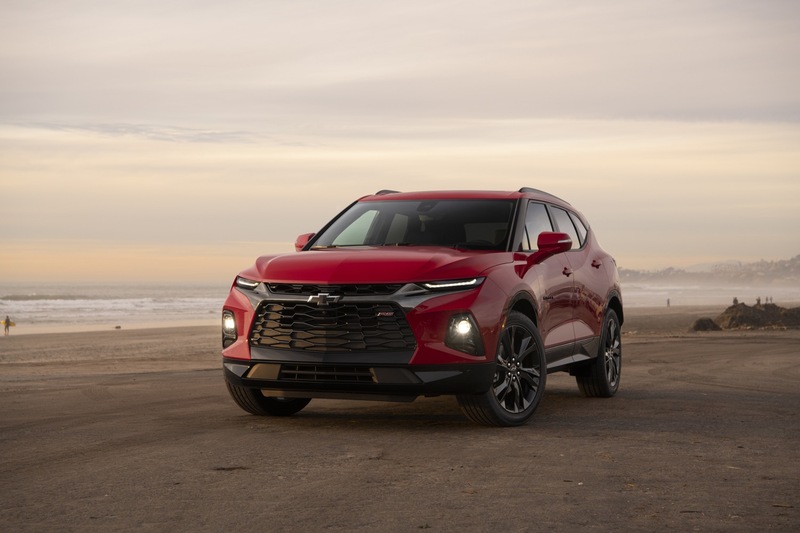 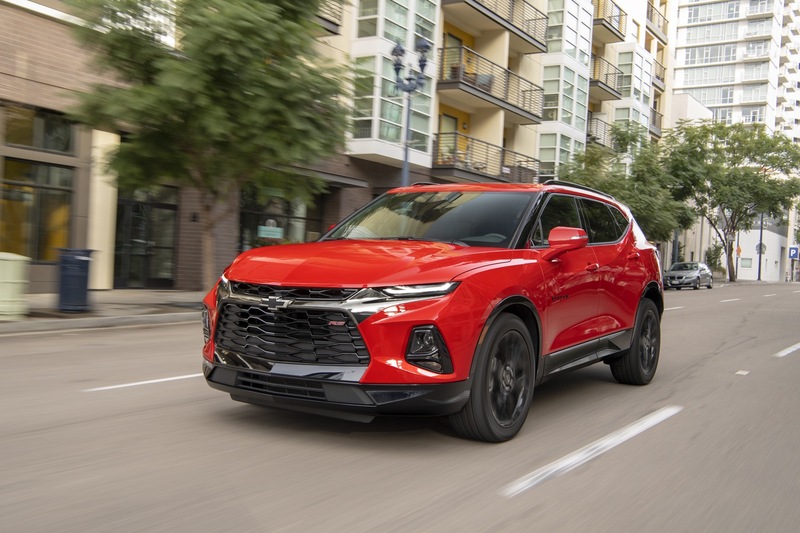 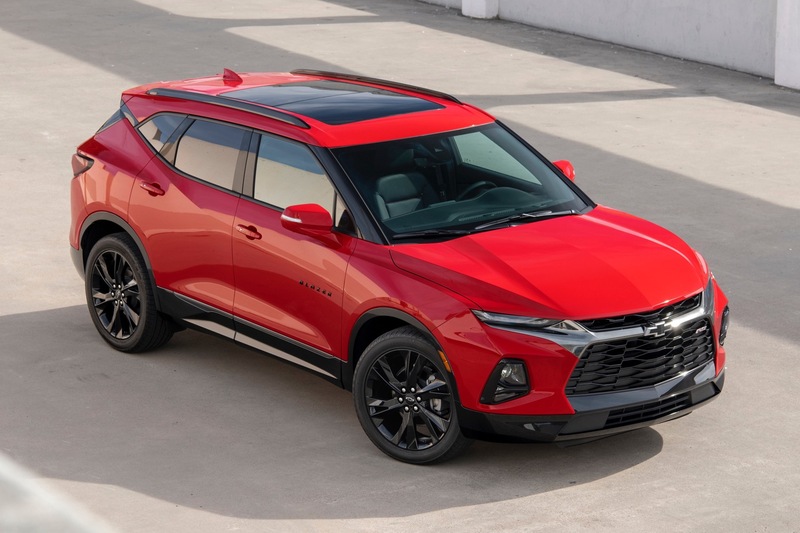 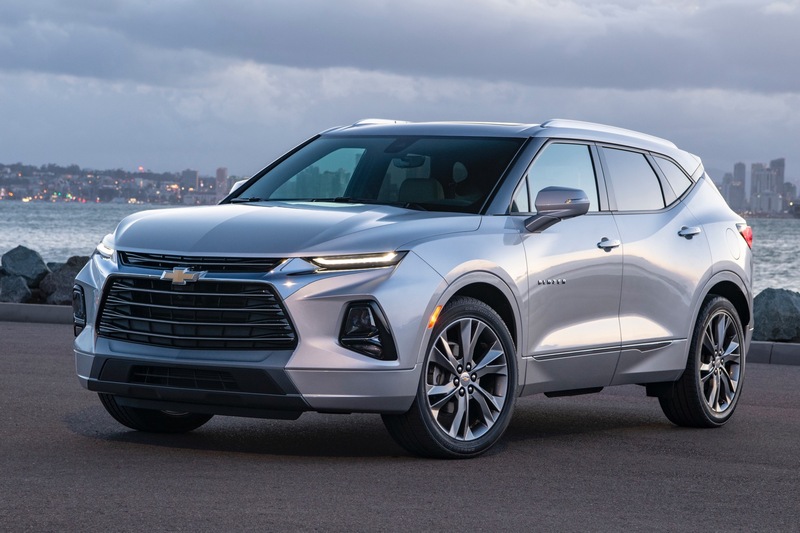 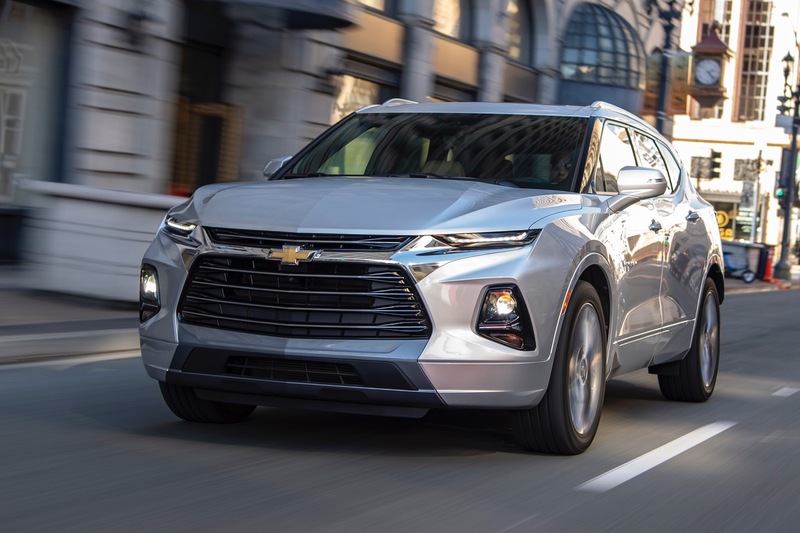 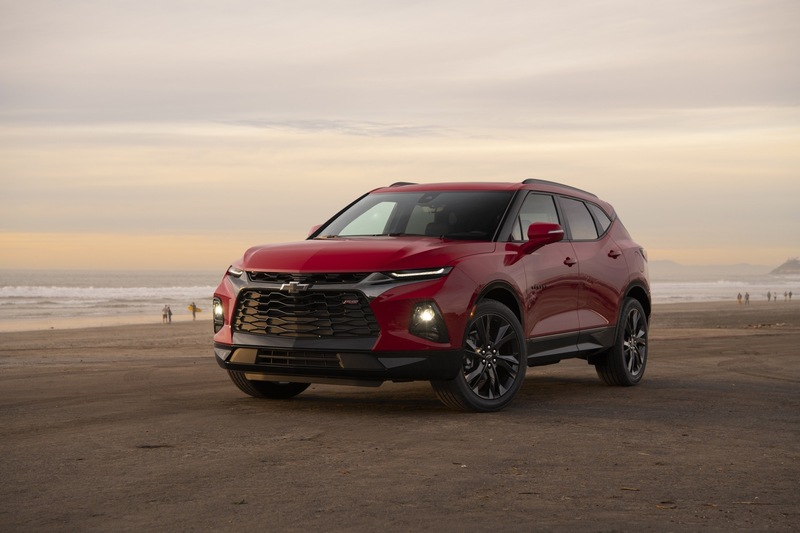 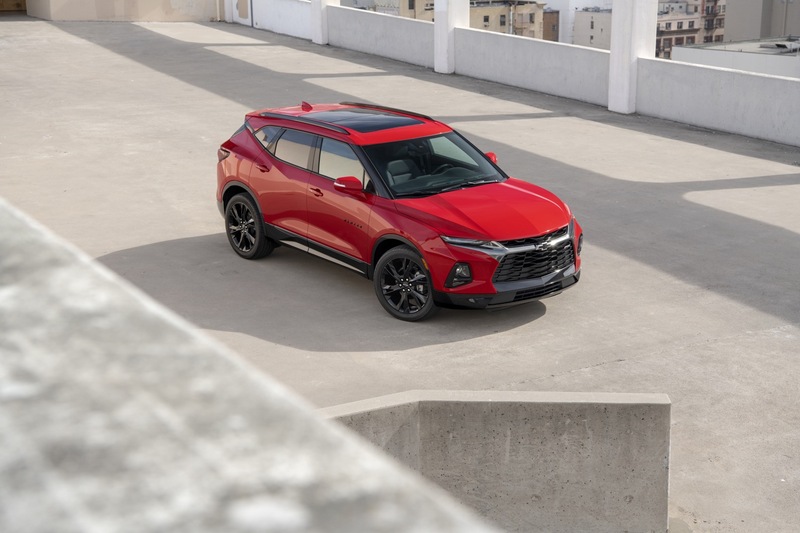 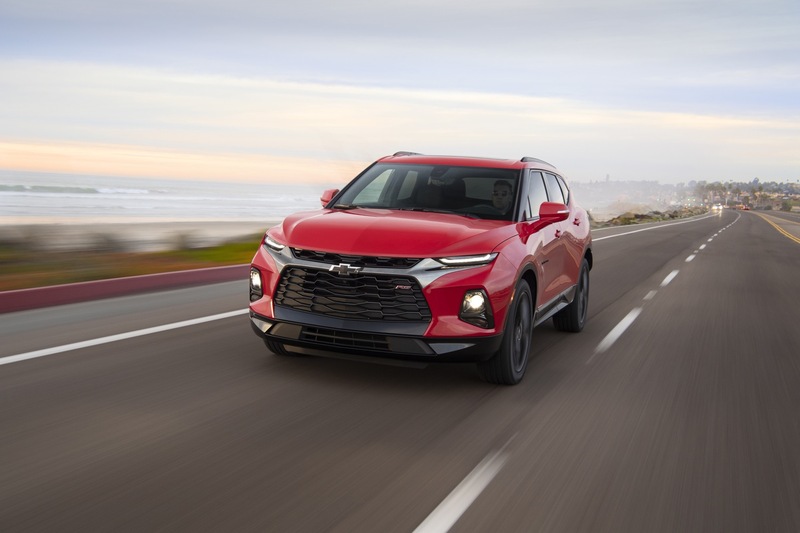 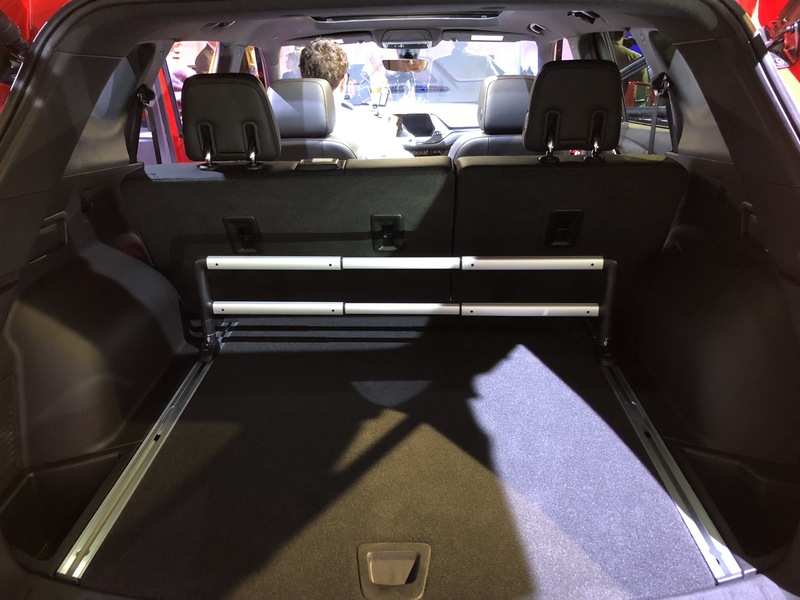 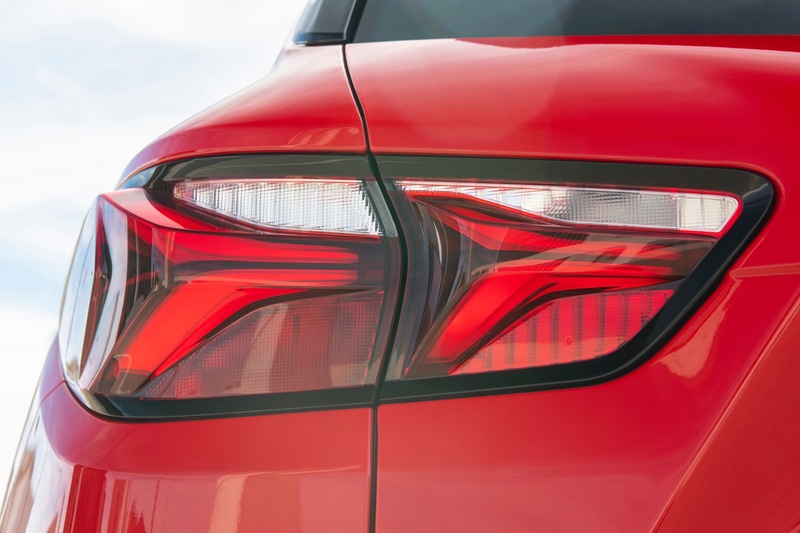 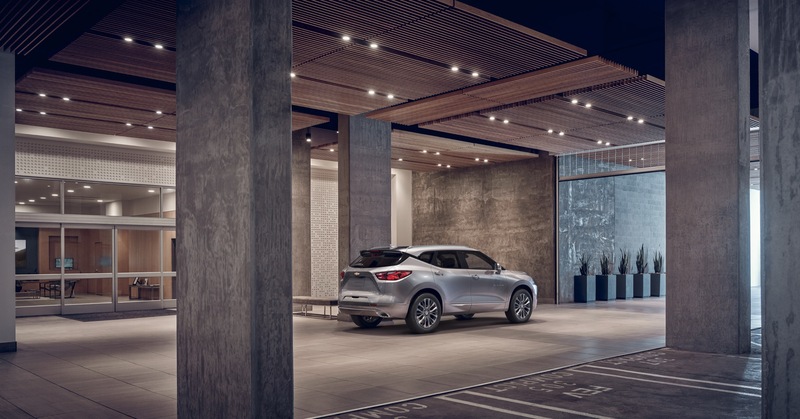 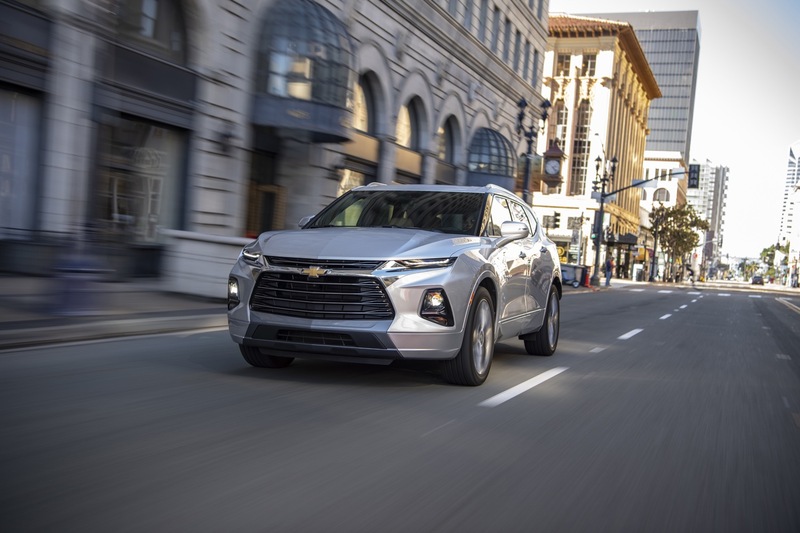 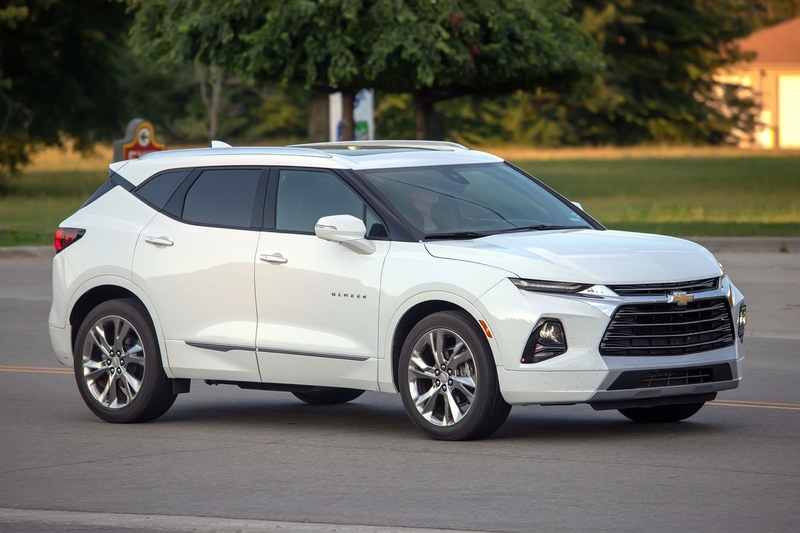 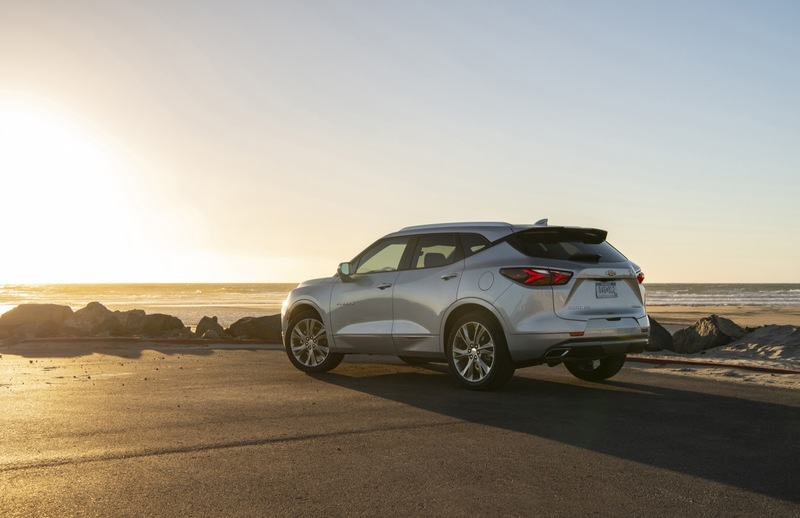 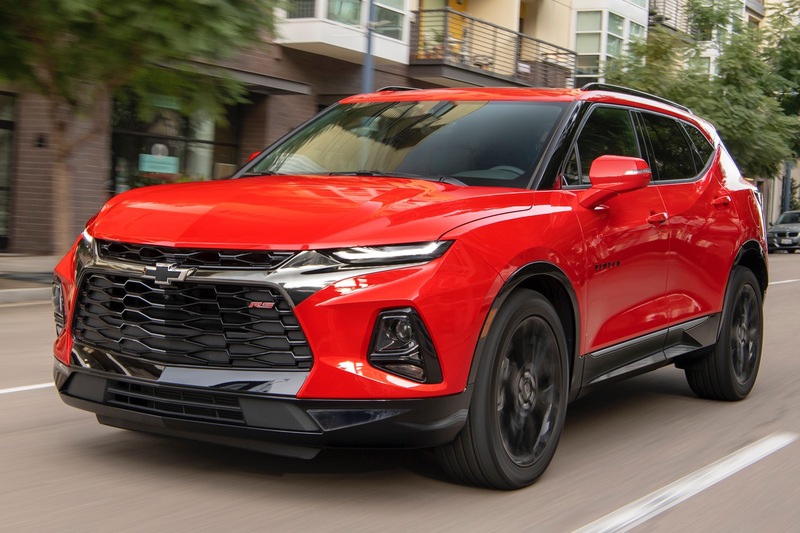 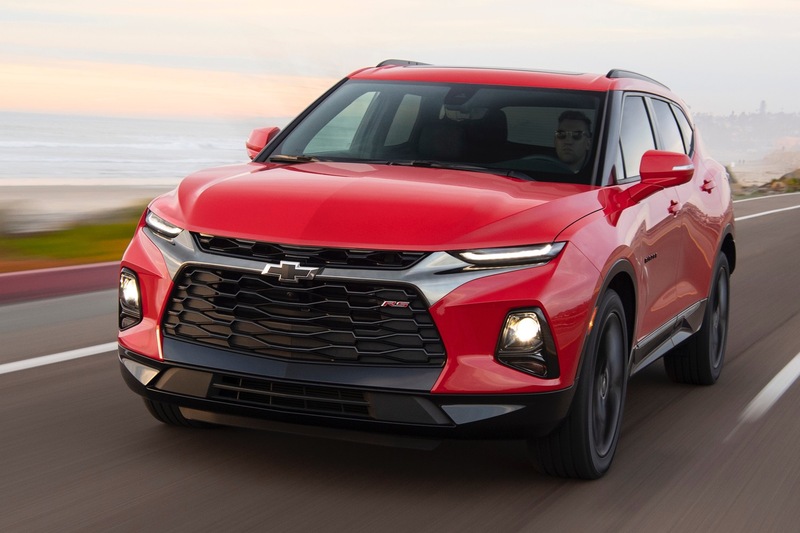 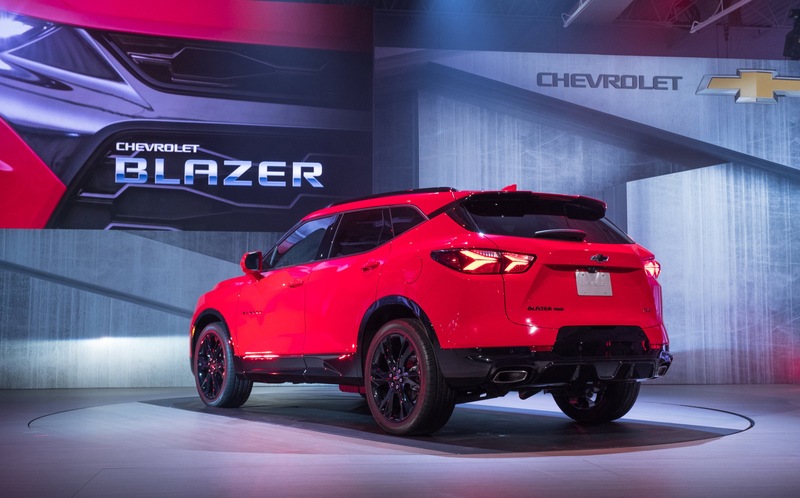 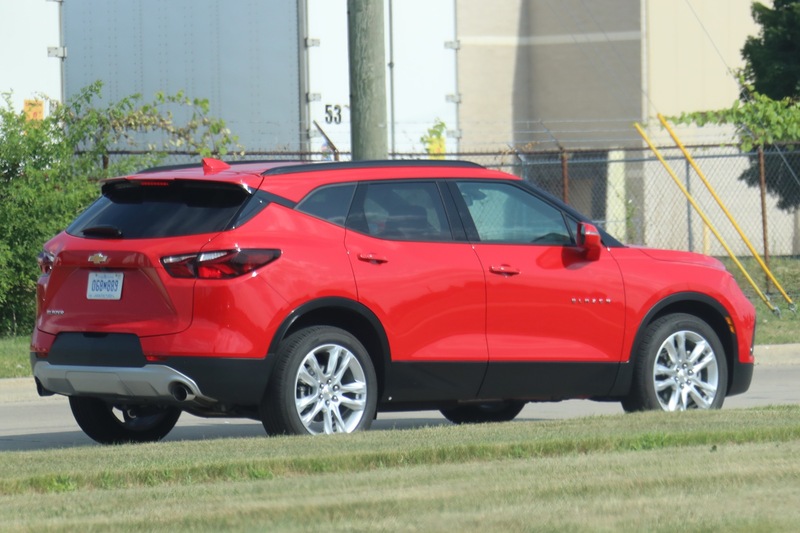 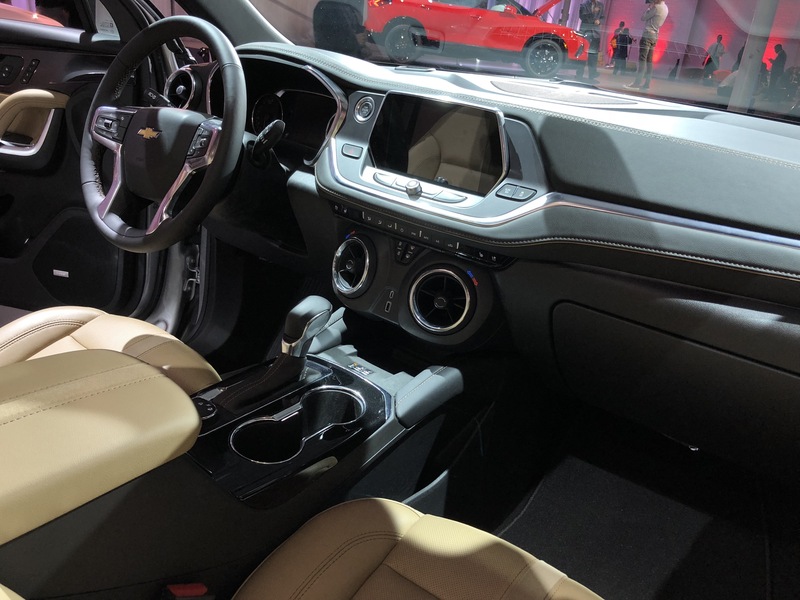 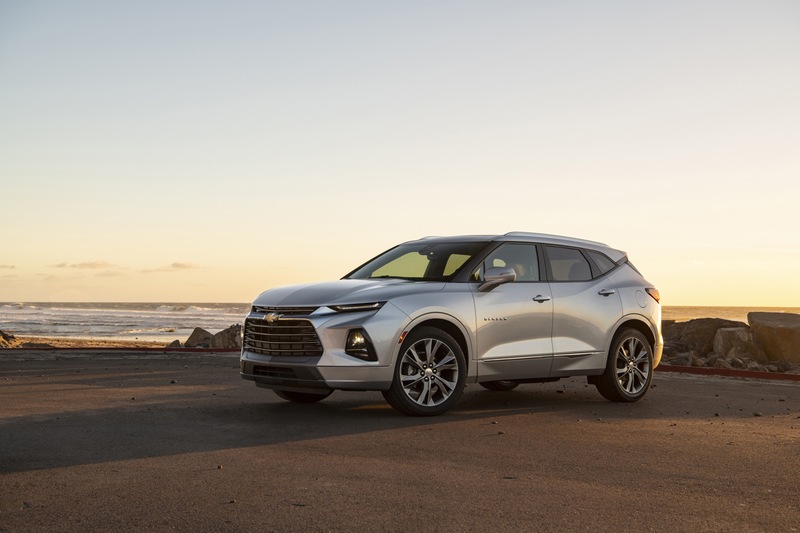 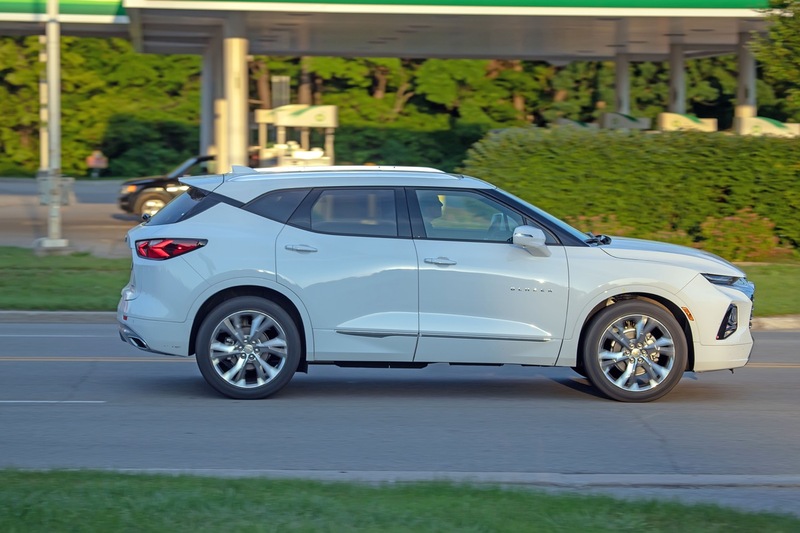 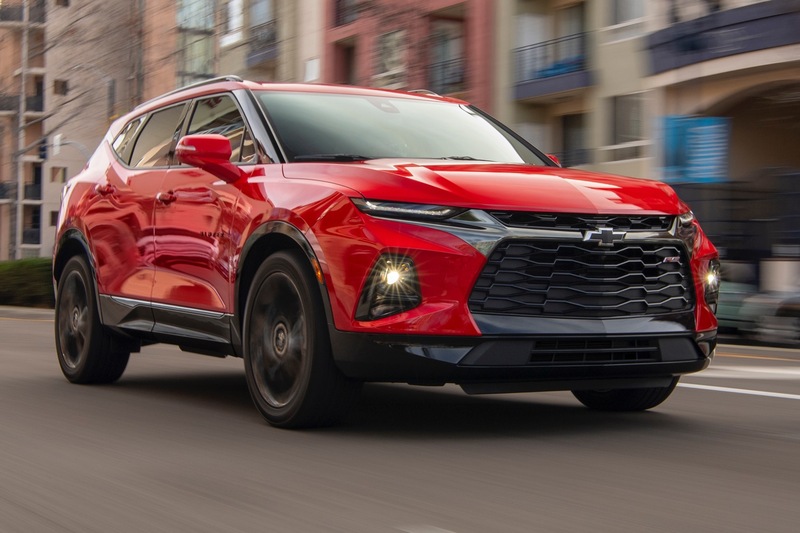 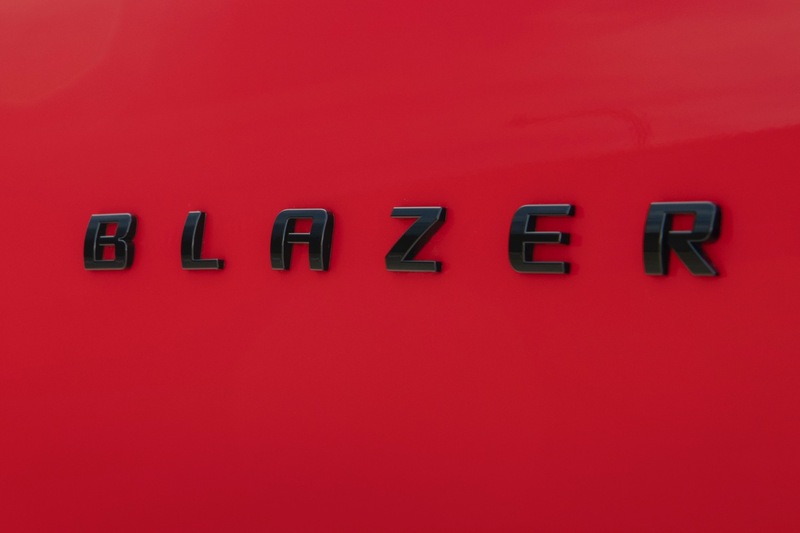 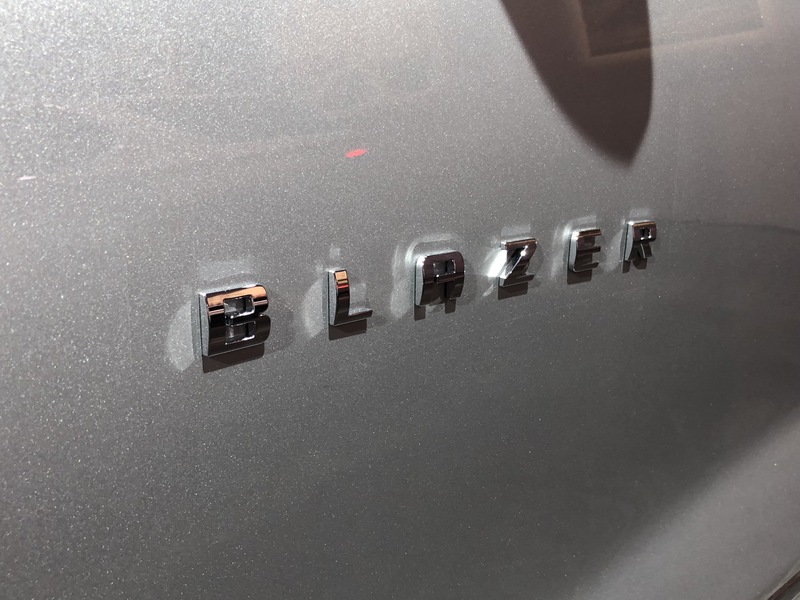 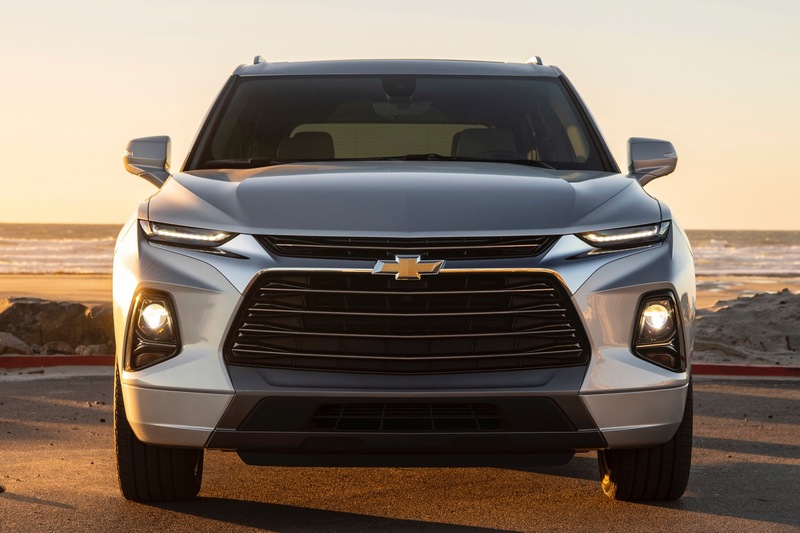 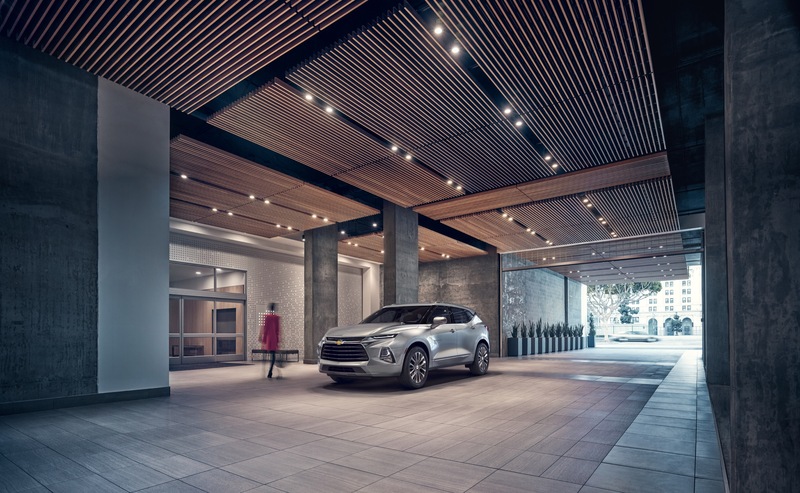 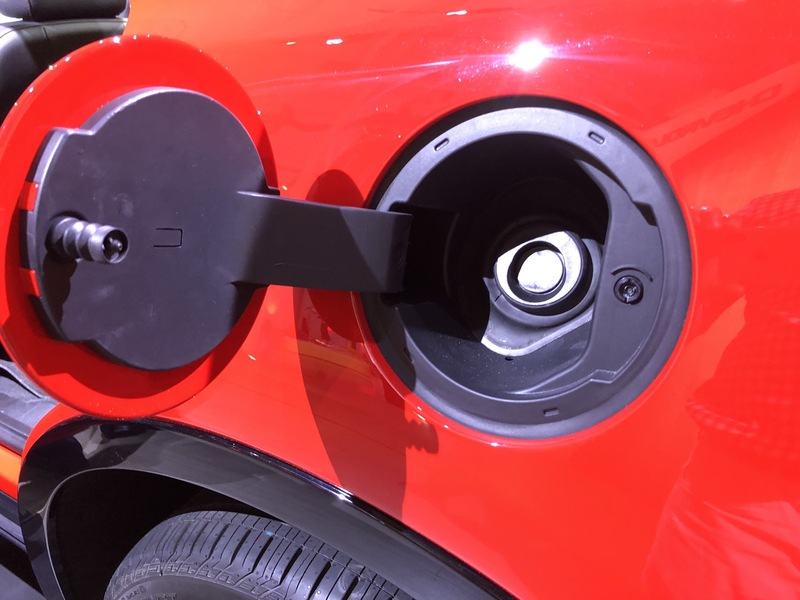 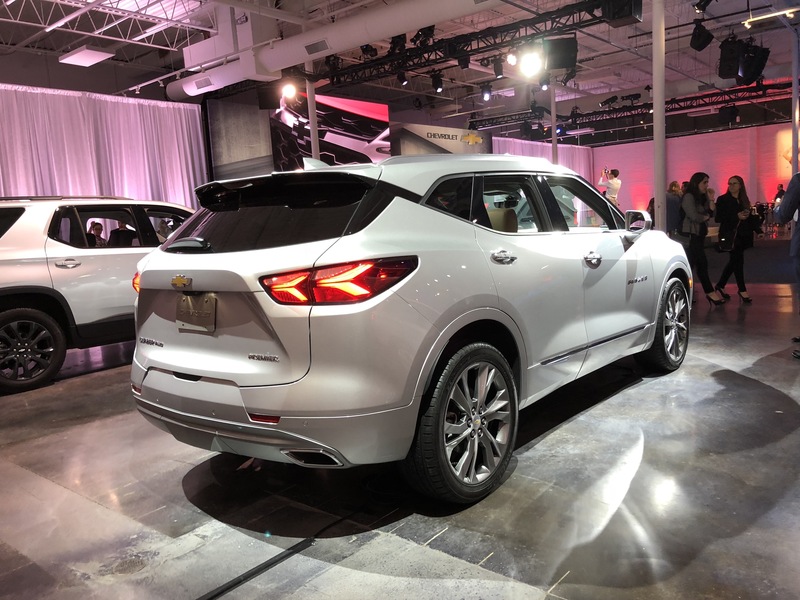 The more traditional roofline and larger dimensions of the vehicle compared to the 2019 Blazer support the model’s independent six-seat layout and cargo capacity. 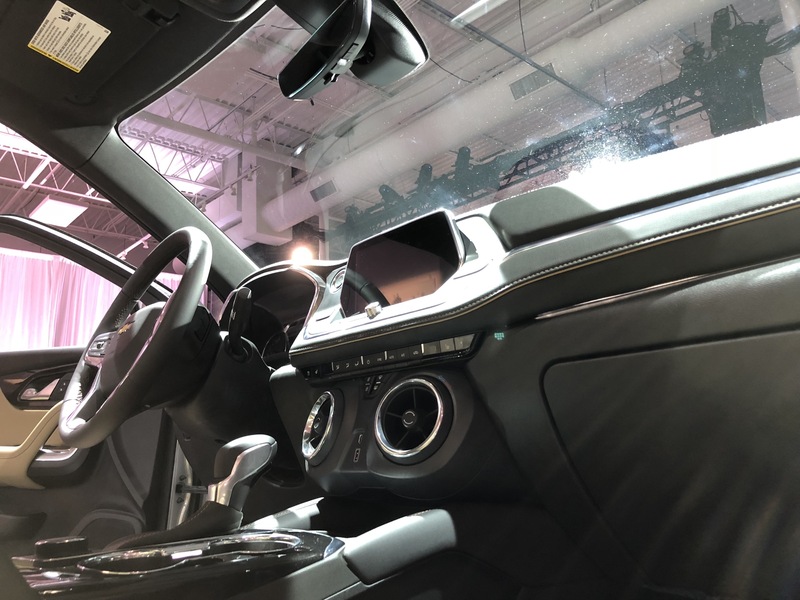 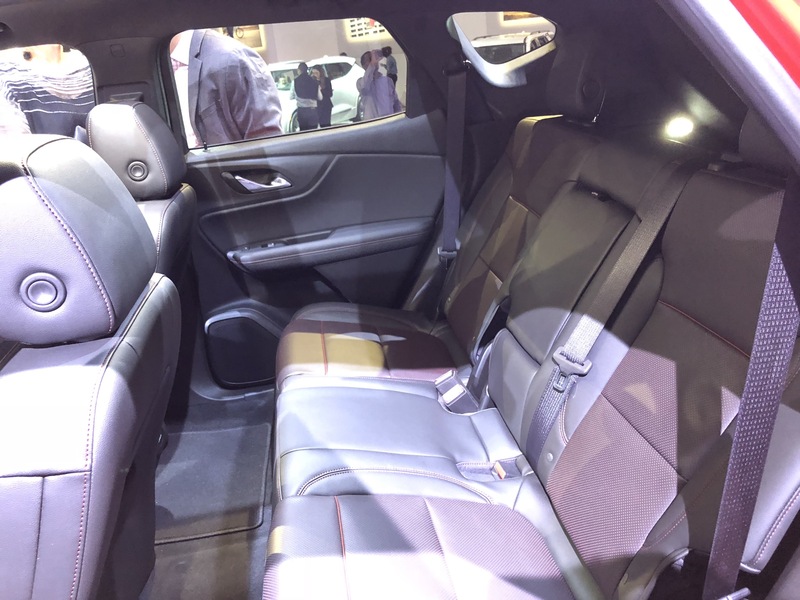 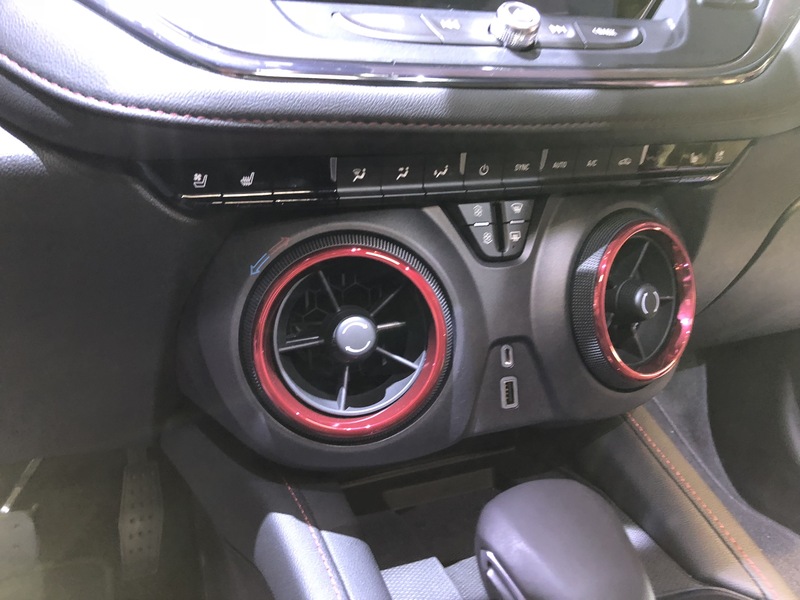 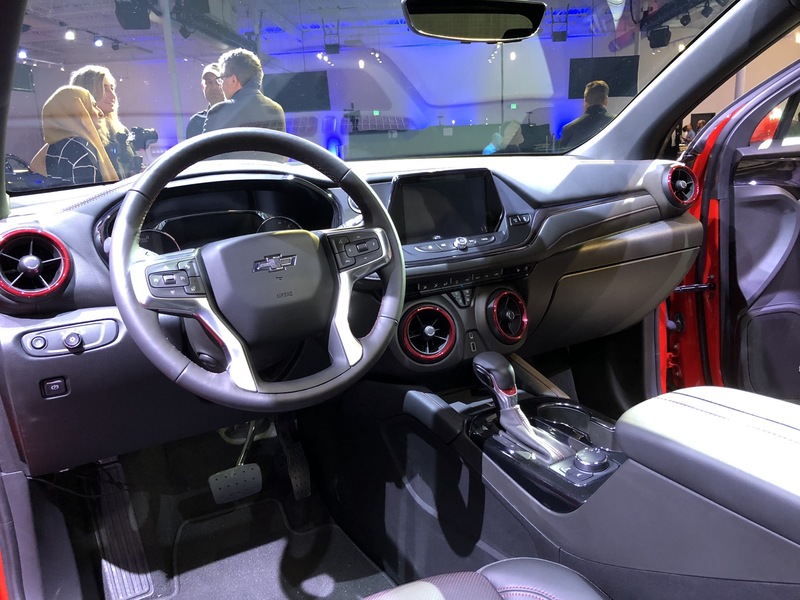 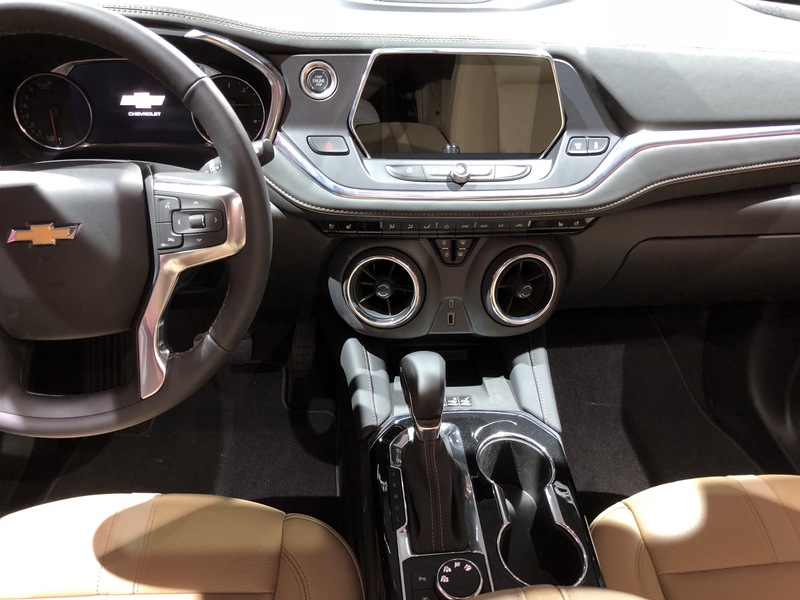 The black interior has a 12-inch full-LCD dashboard, along with a 10-inch touchscreen center console and a touchscreen for second-row passengers. 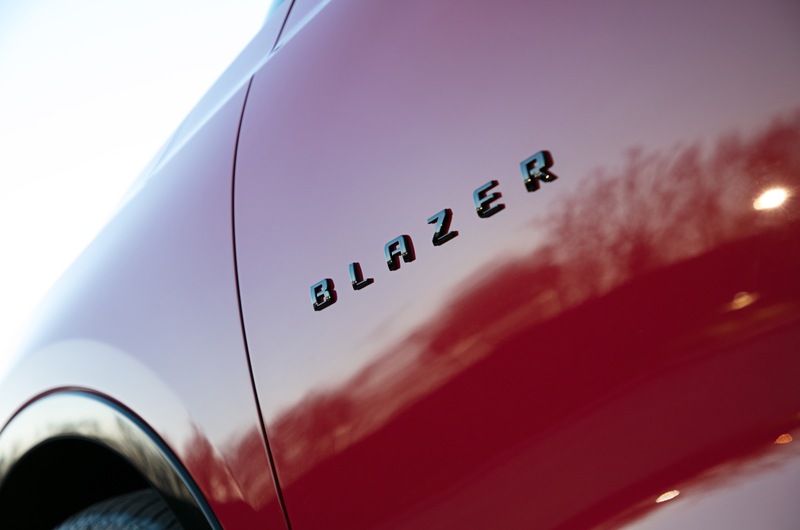 The model also comes with premium amenities such as cantilever-type two-tone black leather sports seats with red suede accents, heating and air-conditioning controls for rear passengers, red backlit accent lighting, Camaro-inspired circular air vents with satin chrome and red accents, as well as illuminated sill plates on the doors and trunk opening. 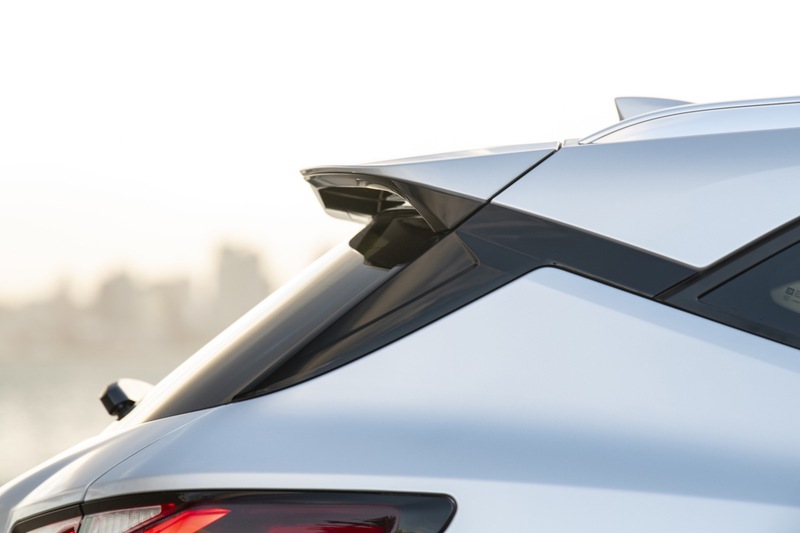 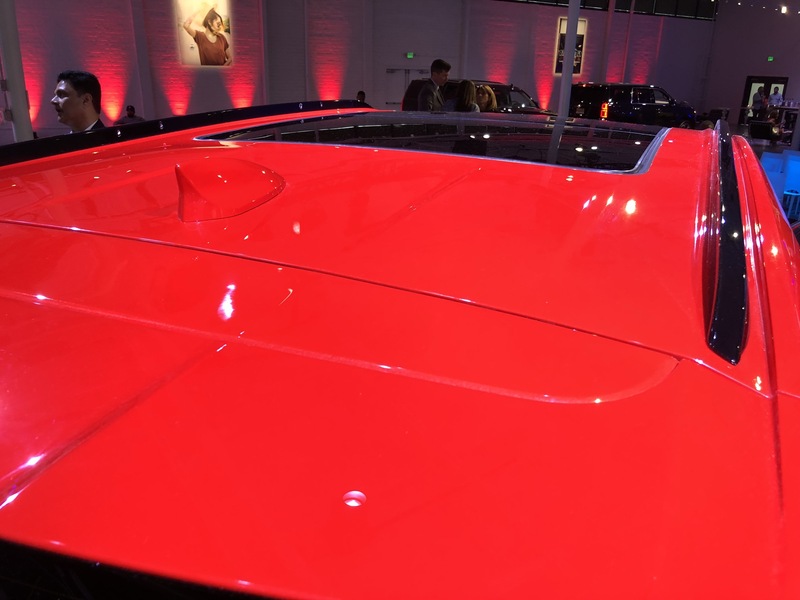 A panoramic sunroof with an integrated parametric pattern is also present. The FNR-CarryAll name harkens back to Chevrolet’s first SUV in 1935 – the Suburban Carryall. 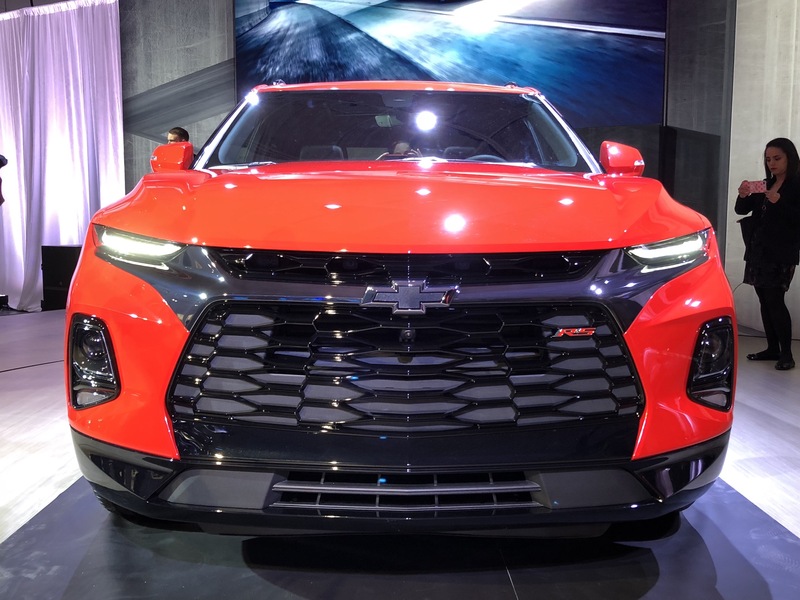 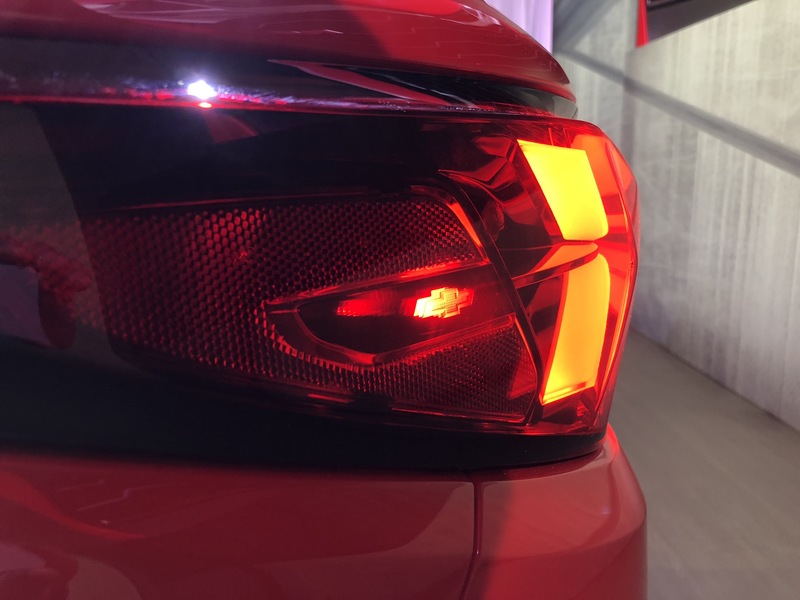 It’s also the third Chevy concept to receive the FNR designation, after the 2017 Chevrolet FNR-X Concept and 2015 Chevrolet FNR Concept. 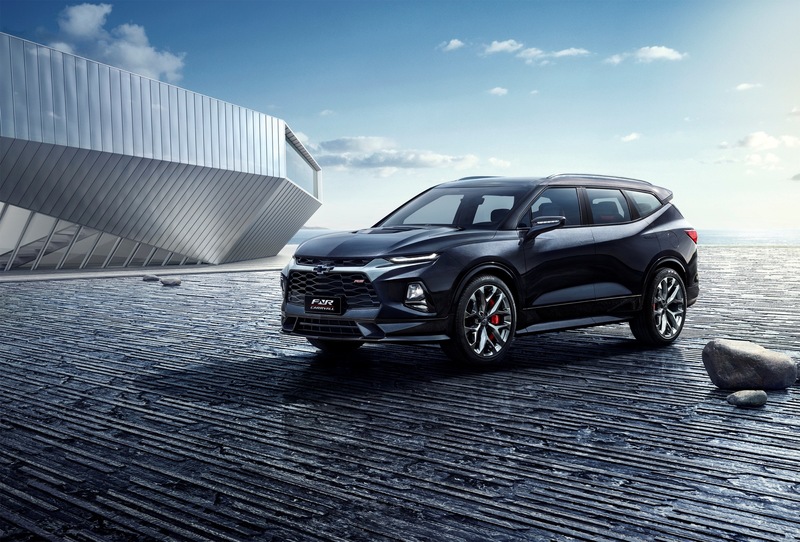 The Chevrolet FNR-CarryAll concept made its debut at the 2018 Guangzhou Motor Show.